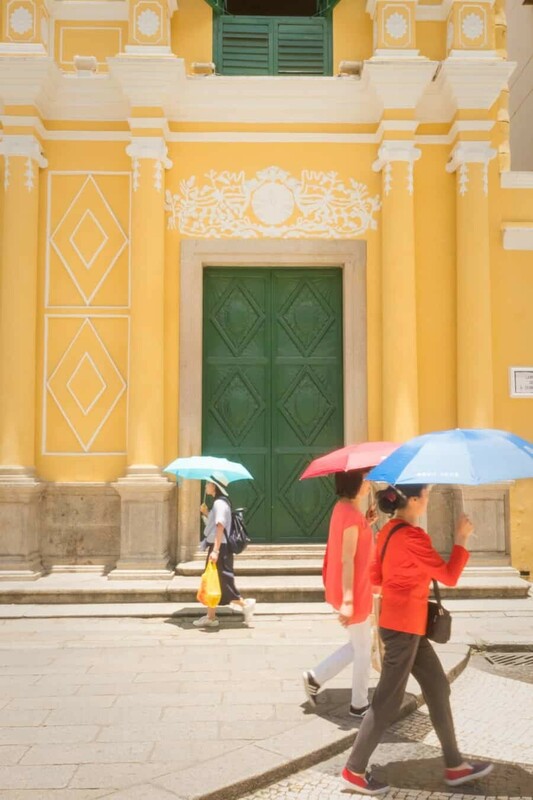 Where Portuguese influence is displayed in all colours of the rainbow and Chinese heritage is visible via ornate details and historic beauty, Macao is a cultural blend of wonders. 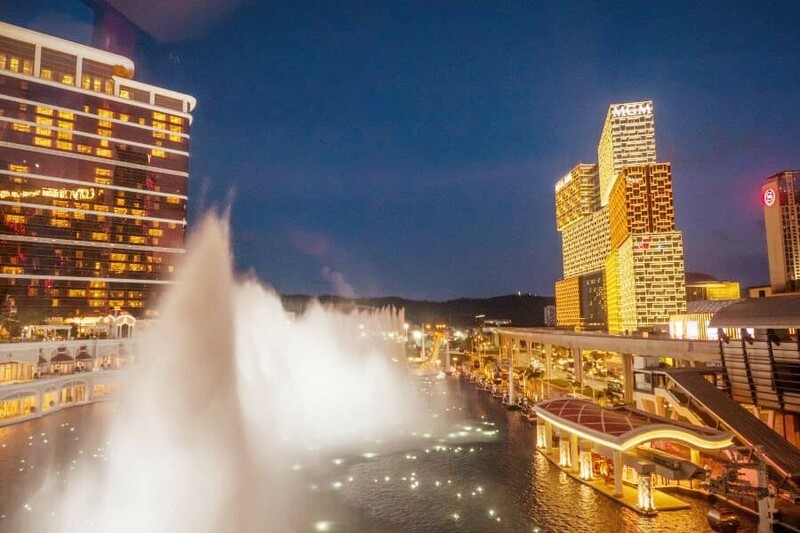 From the old world feel of Coloane Island to the glitz and glam of casinos in Cotai, it’s a place of contrasts, one of those rare destinations where you truly can experience everything in the one destination. 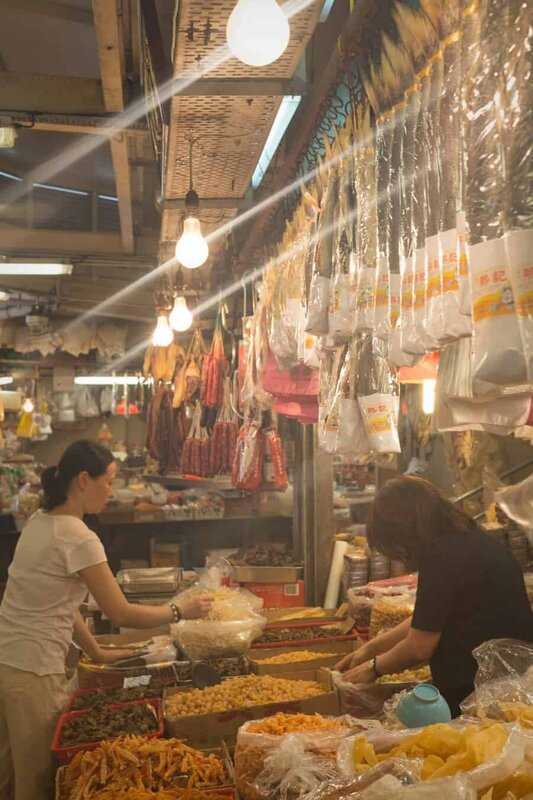 When it comes to photogenic locations I’ve got you covered with this guide to little streets, markets, tea houses and viewpoints that will ensure you capture Macao and all of its angles whether you’re visiting for one day or an entire week. 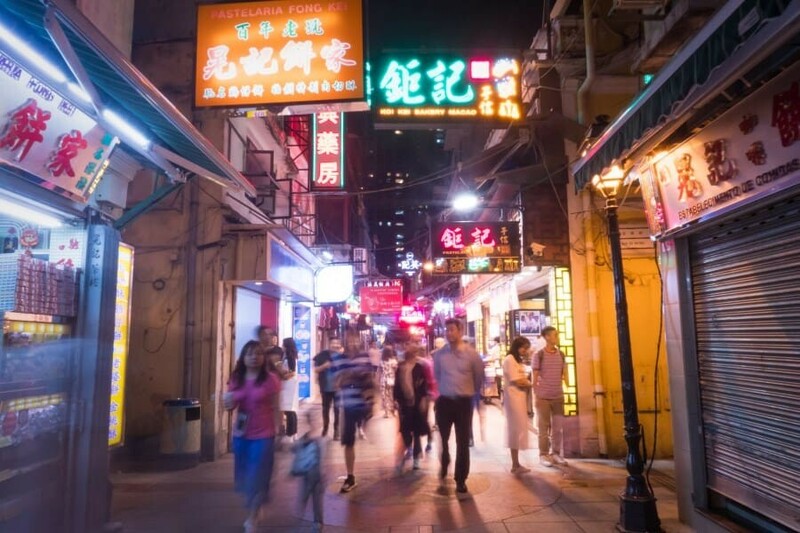 If you’re nearby photographing Hong Kong, be sure to leave enough room in your travel itinerary to venture across on the ferry to Macao, the photo opportunities are vast and offer a variety of subjects and scenes to compliment any trip to Hong Kong! 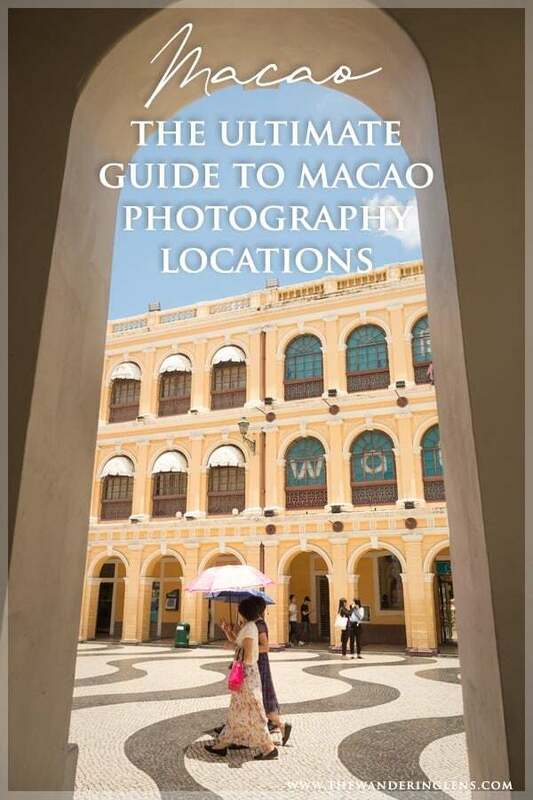 I’ve broken the guide into sections focusing on where to capture the old town vibe of Macao along with some hot spots in the casino complexes of Cotai. 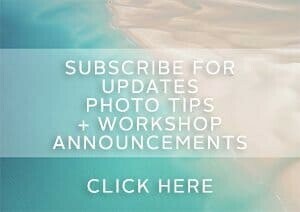 At the bottom are some travel tips and recommendations of where to base yourself while exploring. Below is a quick summary of the locations listed throughout the guide. 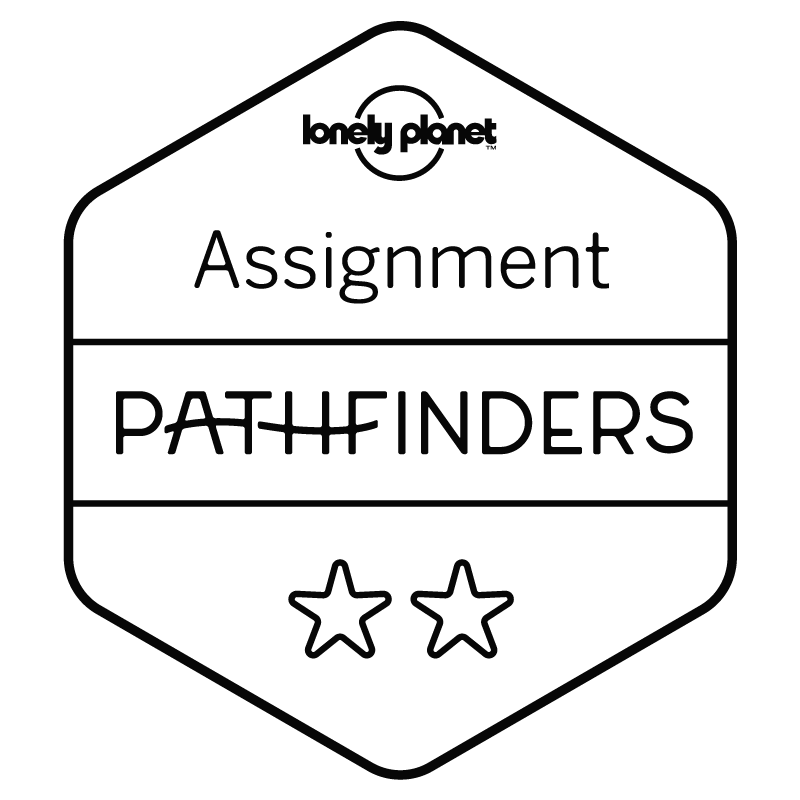 Scroll down to find details and vantage points for each location, along with a collection of sample imagery to help you decide which ones to visit first. 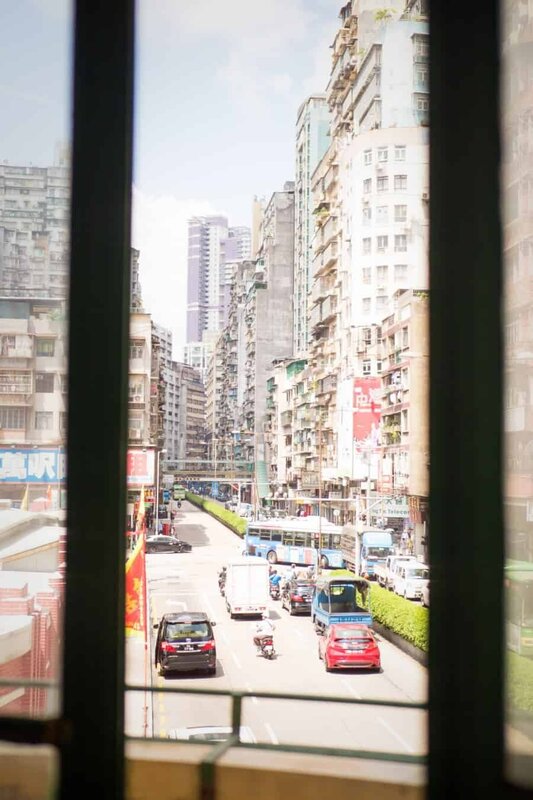 Taken from a bus, another great vantage point is simply through the window as you’re getting from place to place! 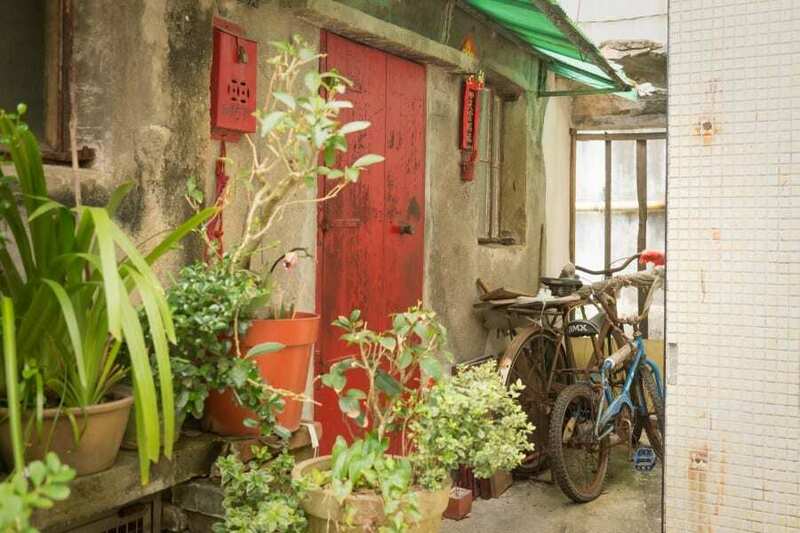 Zero bustle and no hustle, you’ll be greeted with quiet tree lined streets and a gentle old world feel on Coloane Island. Like stepping back in time, everything seems to move a little slower here but it’s what makes this area all the more special. 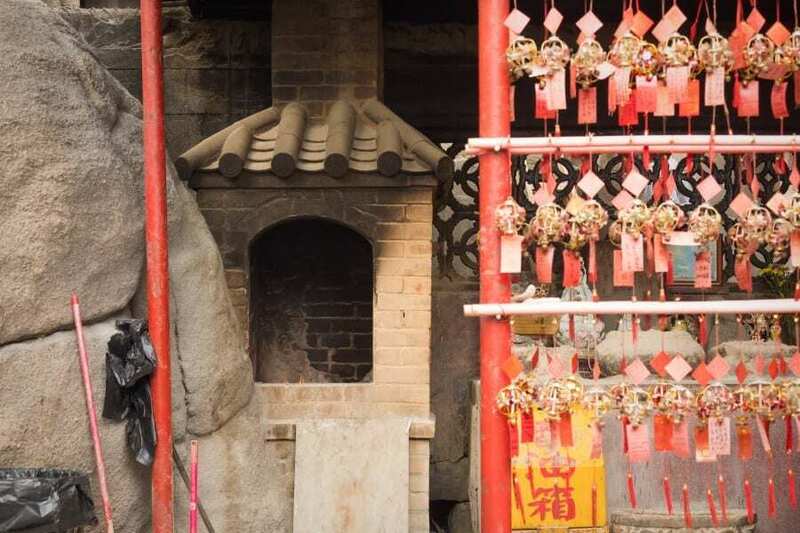 Capture local markets, street scenes and you can even photograph China from across the river. 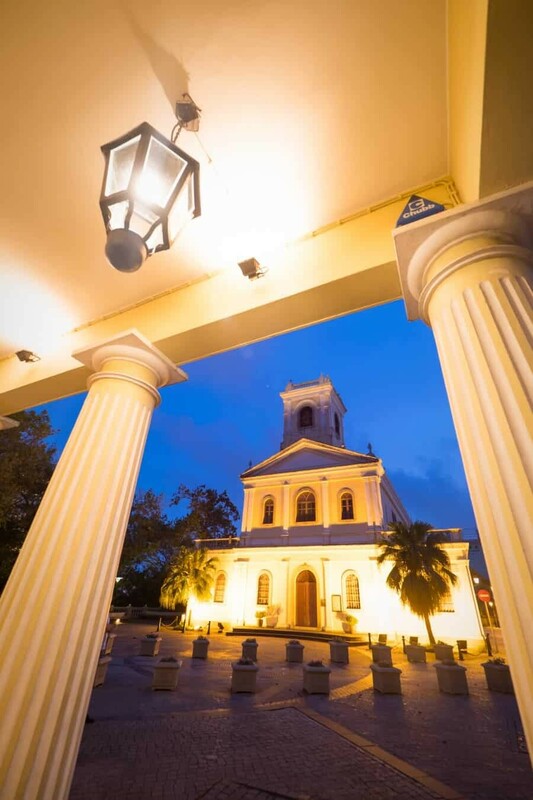 Wander along the Avenida de Cinco de Outubro and don’t miss Jardim Eduardo Marques and the very colourful Capela de São Francisco Xavier. 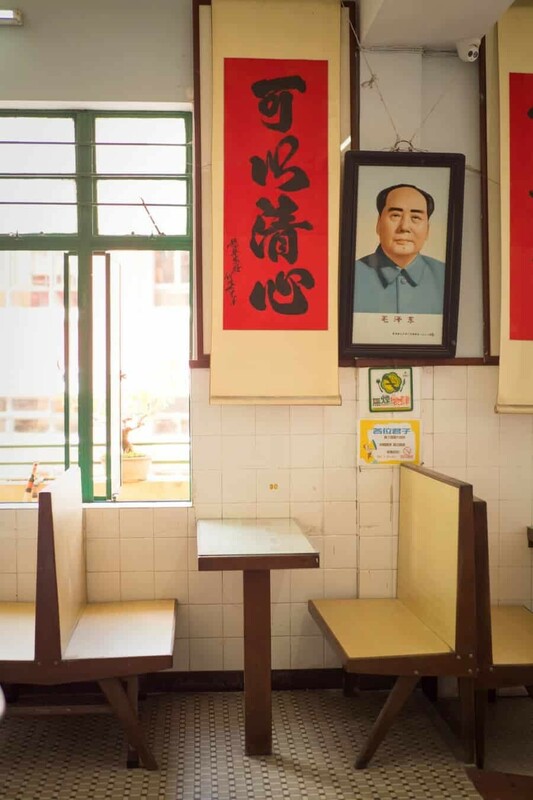 Get your camera ready because inside this tea house is like a treasure trove of collectables, art work and tea cups! 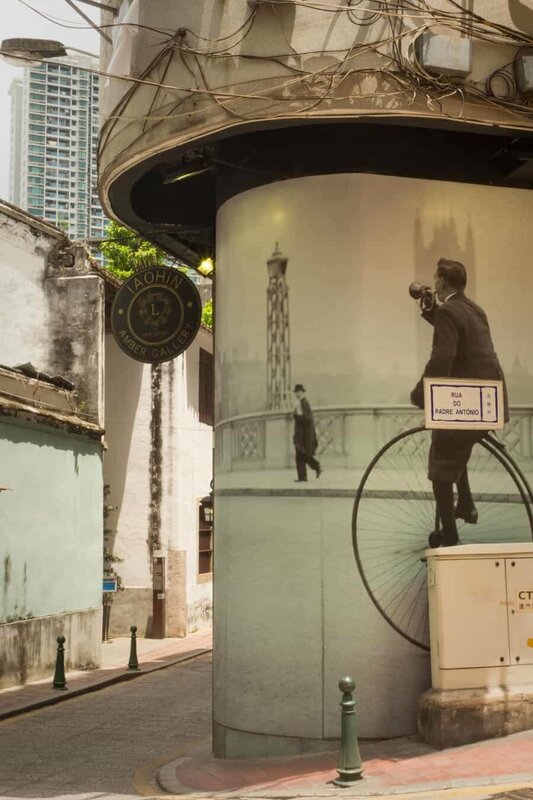 This traditional tea house is on the second floor opposite Red Market and from here you can photograph out the window looking down Avenida Do Almirante Lacerda. But for me, the real photography opportunities were inside. The owner (who still has an abacus for the bill) has preserved one of the best pastimes, tea drinking, and his space is so beautifully old school and stuck in the past, a rare find! 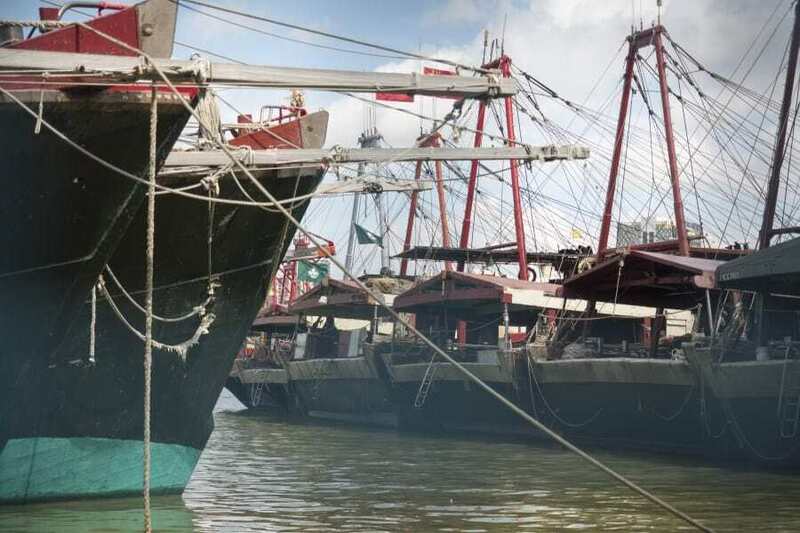 Along the waterfront where wooden fishing boats dock you’ll find stores and workers cleaning, drying and selling all sorts of weird and wonderful creatures from the deep. The streets work really well for blurred motion shots where you can pair a passing motorcycle with colorful signage or storefronts. 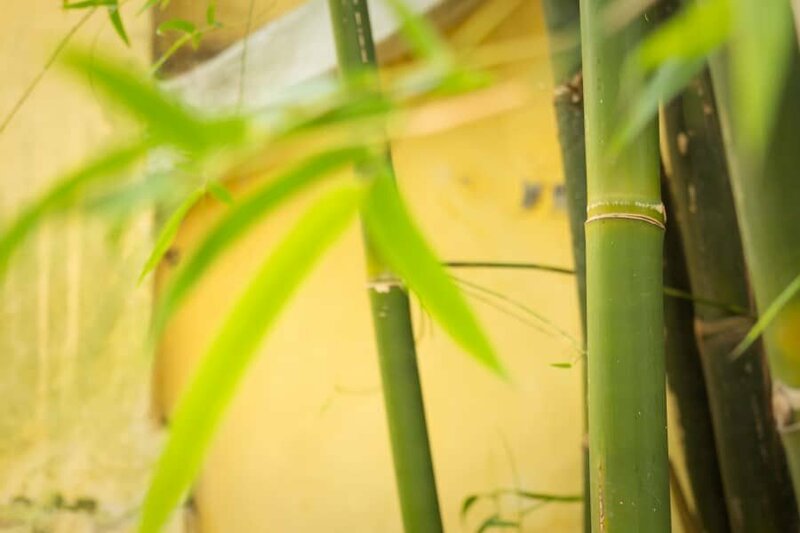 From here wander up Travessas dos Calafates and Calcada do Galo towards a Buddist Temple which rests beneath the Camoes Garden, the next photography location you should check out! Here you’ll hear little birdies chirping as you wander through this quiet and peaceful space. 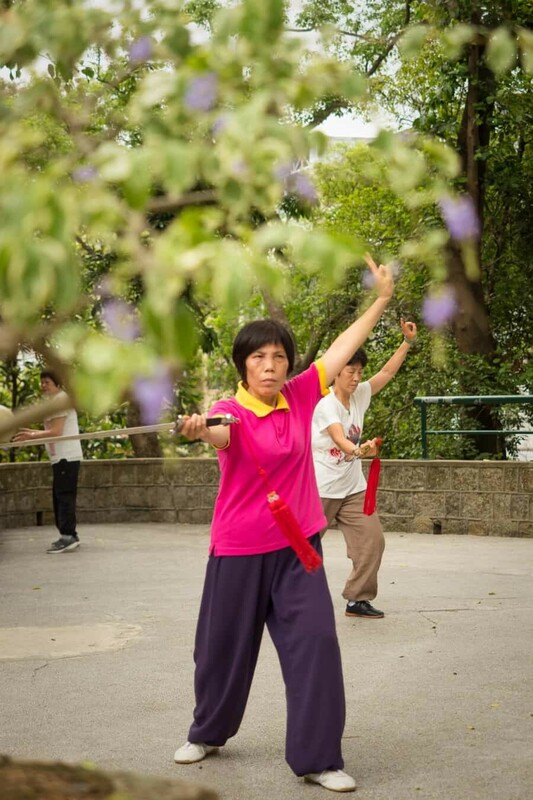 Locals can be seen practicing Tai Chi, sword dancing and getting in their daily exercise on the many swings and designated work out areas. If you’re arriving from the (insert temple name) side, just a short distance into the park you’ll see a path with risen pebbles, this is for massaging your feet, try it if you’ve got tough feet…if you’re a wimp like me it’ll hurt like crazy haha! Around the garden you can photograph gorgeous flowers, frogs (you’ll hear them first!) and of course the locals going about their routines. 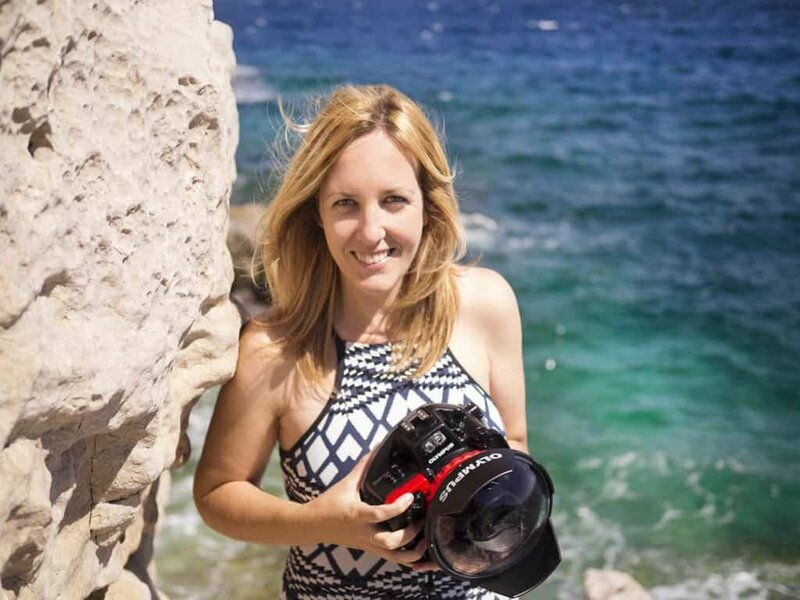 Be mindful not to get in anyone’s face with your camera though and if possible always ask first. 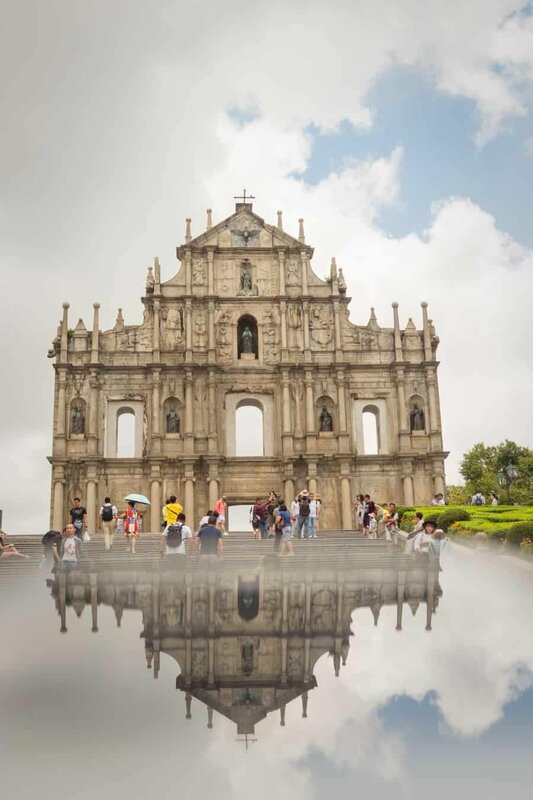 Located above the city centre, the Ruins of St Paul’s are an essential stop to capture the heart of Macao’s Portuguese heritage. The ruins can be photographed from a wide range of angles so be sure to wander around and find what works best for you. I loved the view from Travessa da Paixao where the alley leads up towards the ruins and balconies and cobblestones frame the shot. If it’s a hot day don’t miss out on the opportunity to visit the crypt which you’ll find at the back end of the ruins complex. They’re air conditioned (hooray!) 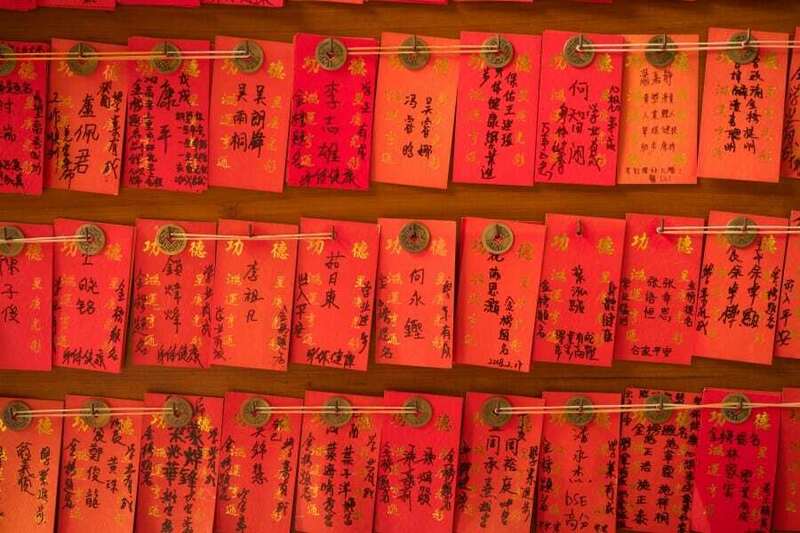 and a fascinating insight into the Japanese connection to Macao. As mentioned in the previous paragraph, this small alley provides views towards the Ruins of St Paul’s and offers an alternate perspective for photographs that the usual, up the stairs shot. 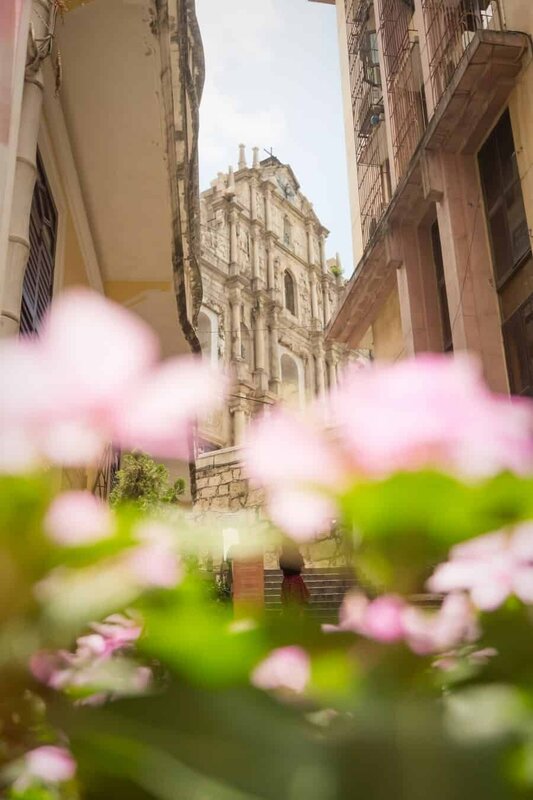 Here you’ll find colourful buildings, window shutters and flowers making it not only a great place to photograph the Ruins of St Paul’s, but a great spot for taking Instaworthy portraits. About half way up there’s a gorgeous pink and green building where there was a small line already starting when I arrived at 11am for shots against the white door. 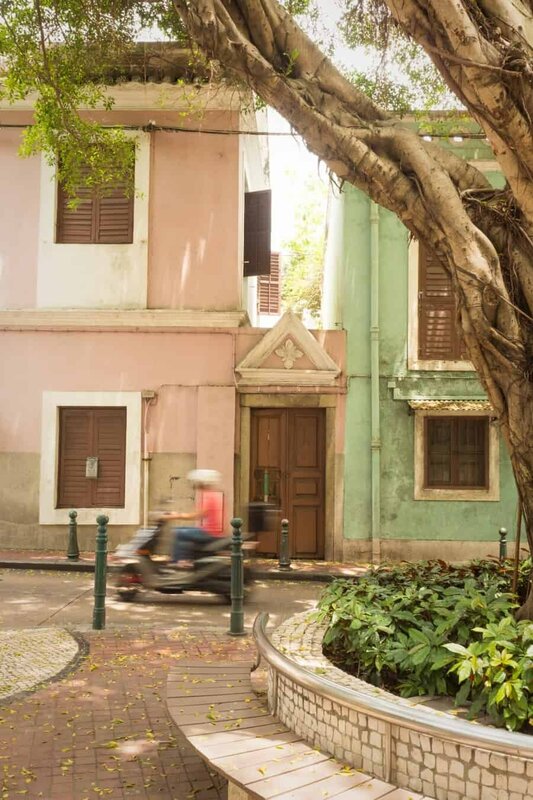 Take the time to venture off the main roads and wander through atmospheric lanes that provide a little inside into the residential life of Macanese locals. 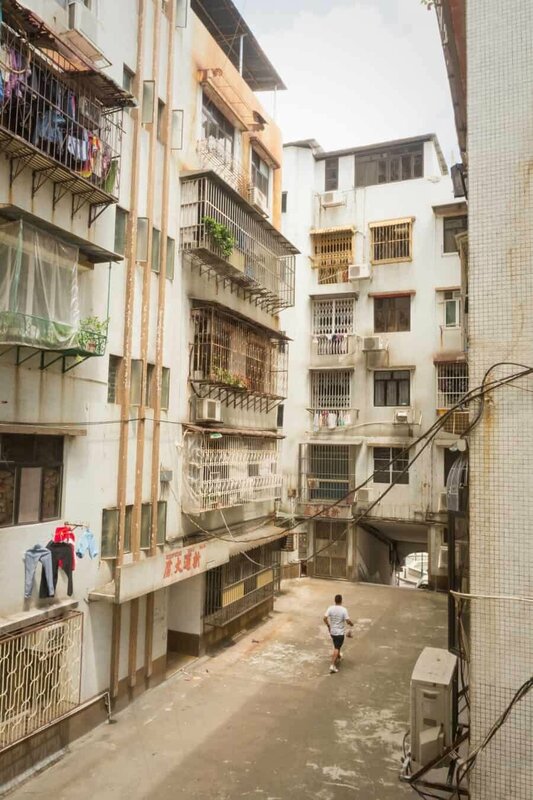 When walking between Cameos Garden and the Ruins of St Paul’s, instead of taking the main route, wander through some of the smaller lanes to get a feel of the residential areas. Take the staircase just in front of Igreja de Santo António de Lisboa (St.Anthony’s Church) up to Largo da Companhia then up another small staircase to Patio do Espinho. 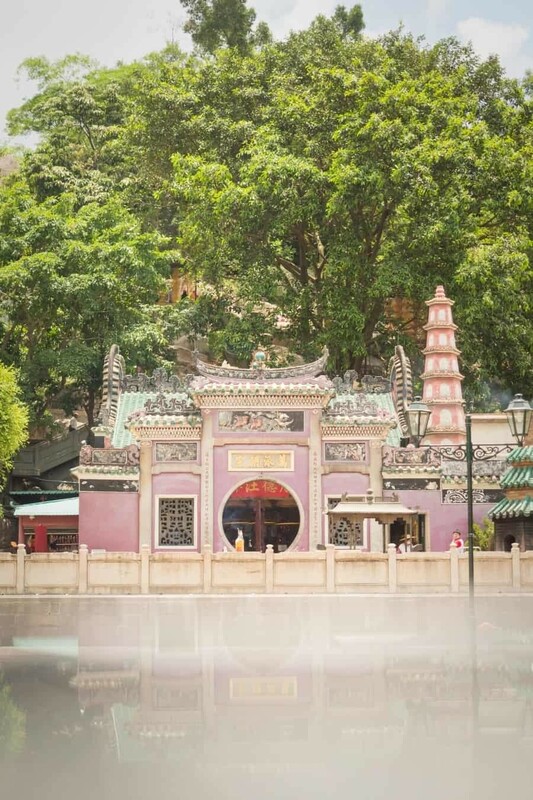 Here you’ll find friendly locals and beautiful exterior detailing ideal for 50mm photographs and bokeh shots. At the end of Patio do Espinho you’ll arrive at Templo de Na Tcha which sits right beside the Ruin’s of St Paul’s. 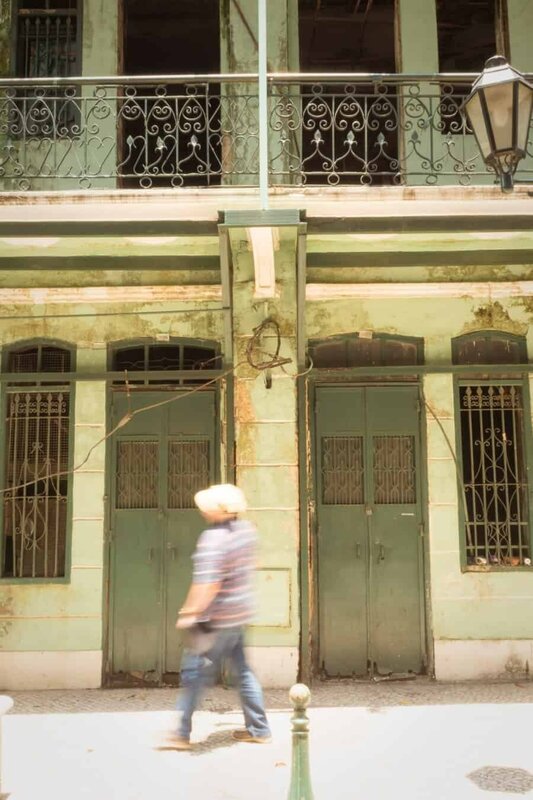 If you’re into colour, prepare to spend a lot of time photographing in and around Senado Square. 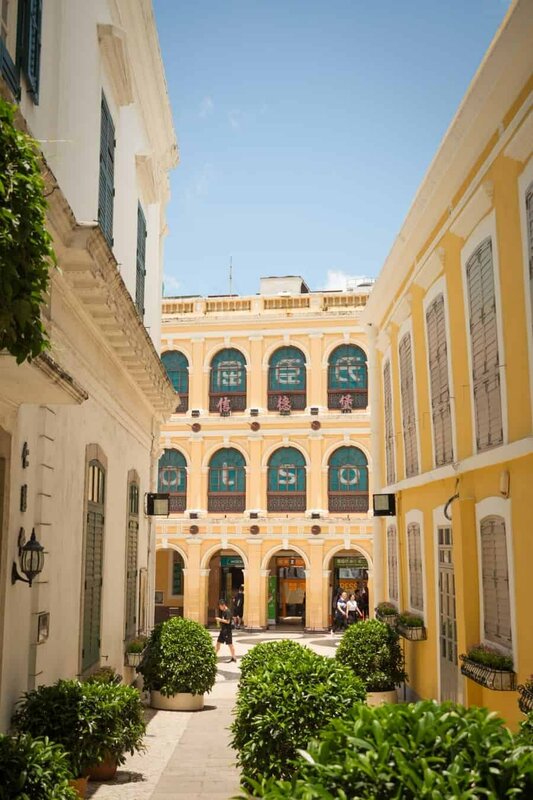 The square was named after Leal Senado, a building which looks over the square and was Portuguese Macau’s government and a meeting place for the Chinese and Portuguese in the 16th to 18th centuries. 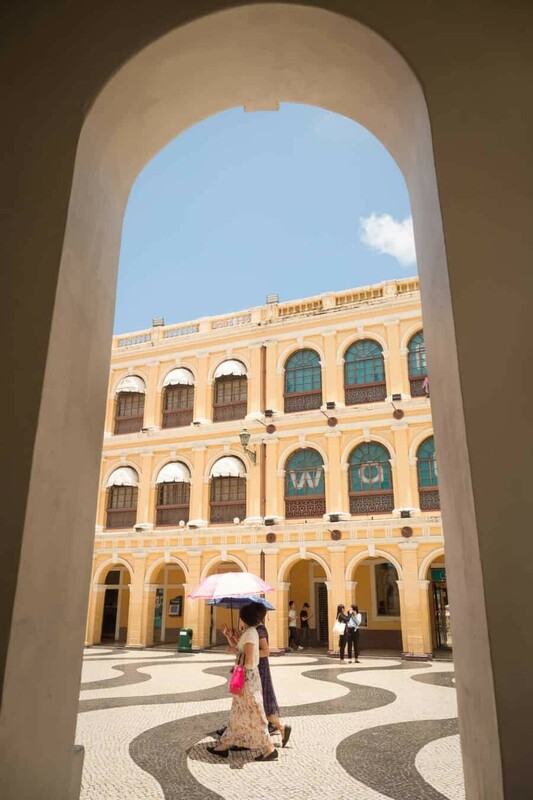 Buildings are painted vibrantly in every share of the rainbow and the patterned pathways, arches and ornate window detailing will be sure to keep you snap happy! 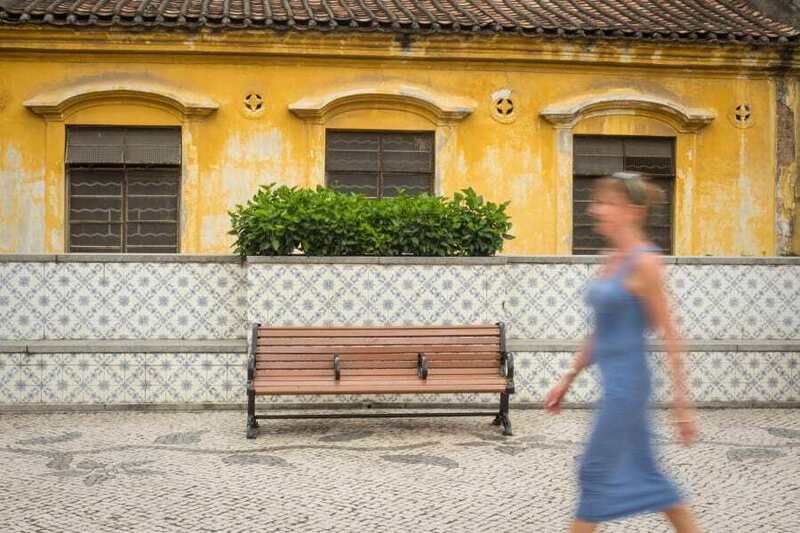 Look for leading lines along Lago do Senado and colourful umbrellas or bicycles passing by in front of St. Dominic’s Church. Jotting off from the square are a number of photogenic streets, some smaller than others. 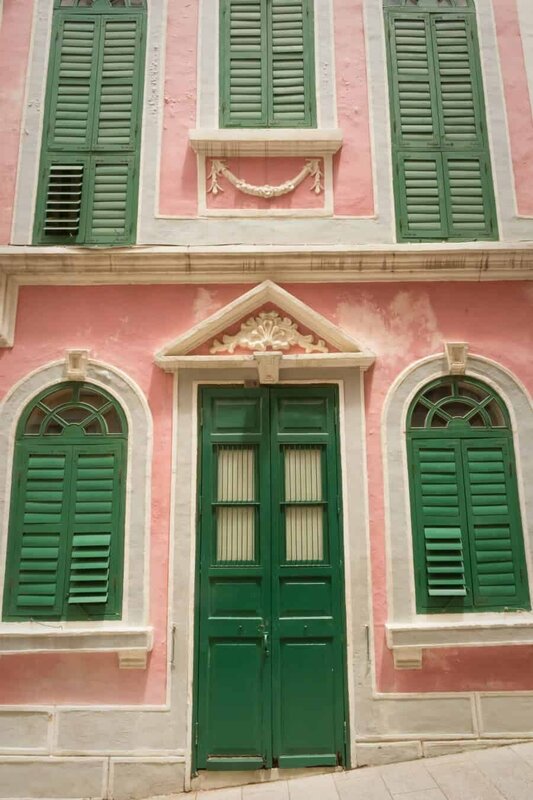 Travessa da Misericordia is a popular one for portraits and features bright yellow facades and colourful window shutters. Nearby to Senado Square there’s many smaller squares that also offer photo opportunities for street scenes and portrait locations. 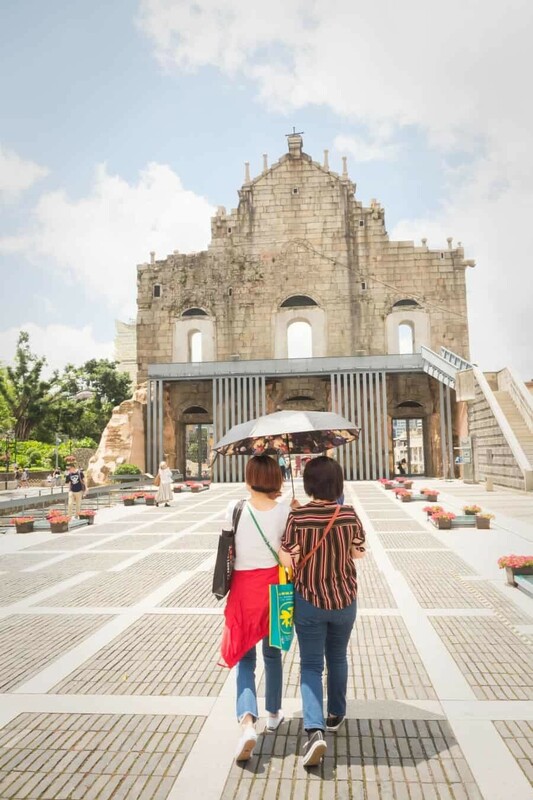 In front of the Cathedral of the Nativity of Our Lady, Macau there’s a colourful square with a fountain and three benches which line up beautifully against the bright background wall. 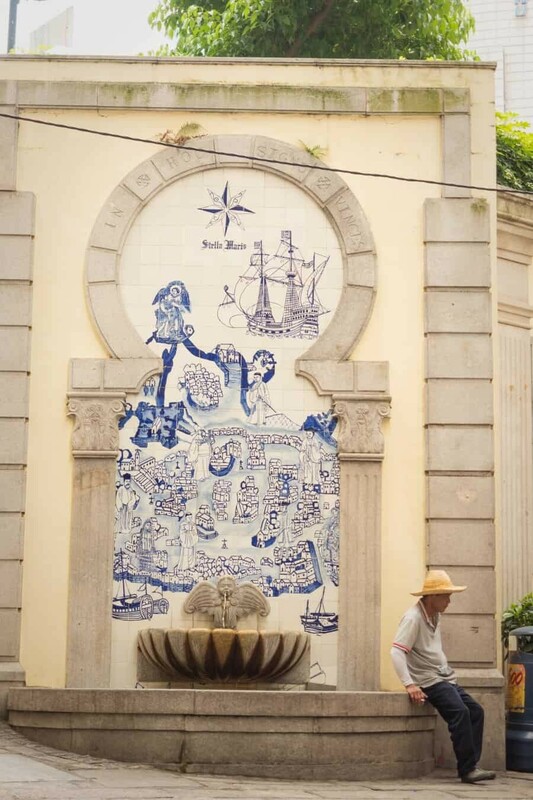 Beneath this square are blue and white tiled walls depicting scenes from Macao’s history. 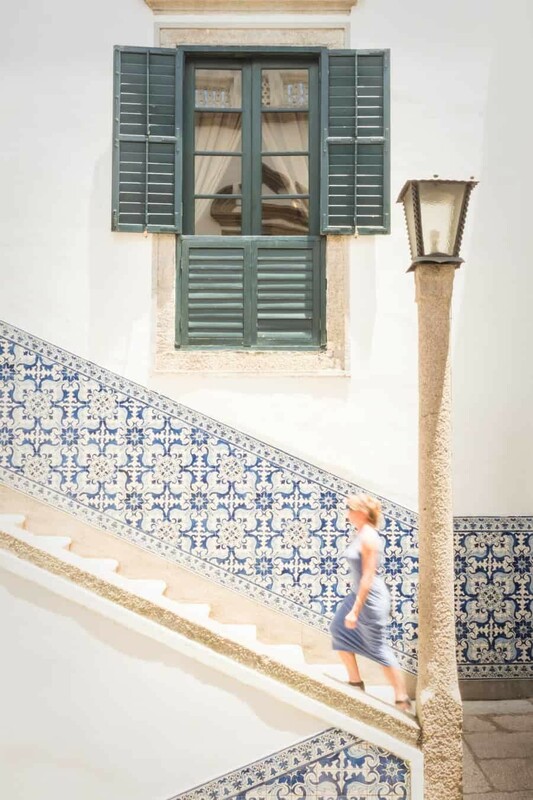 Step inside this hidden gem opposite Senado Square to photograph a quiet garden and beautiful bright blue tiled detailing in the stairways. Great for a quick stop and you’ll also find the library and a small art gallery inside too! 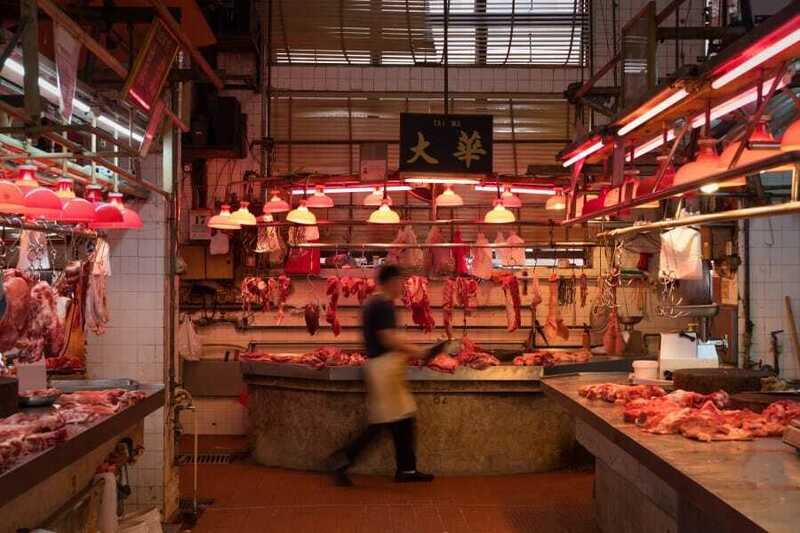 If you’re not against seeing the odd meaty carcas then this wet market offers a great insight into local life. The second floor is all meat produce (be sure to watch your white balance as the redness can throw the camera a little) but on the ground floor you’ll see all kinds of veggies, herbs and dried goodies on display. Most stall owners are happy to smile and show you their offerings but as it’s a public space do be wary of getting in the way and photographing people. 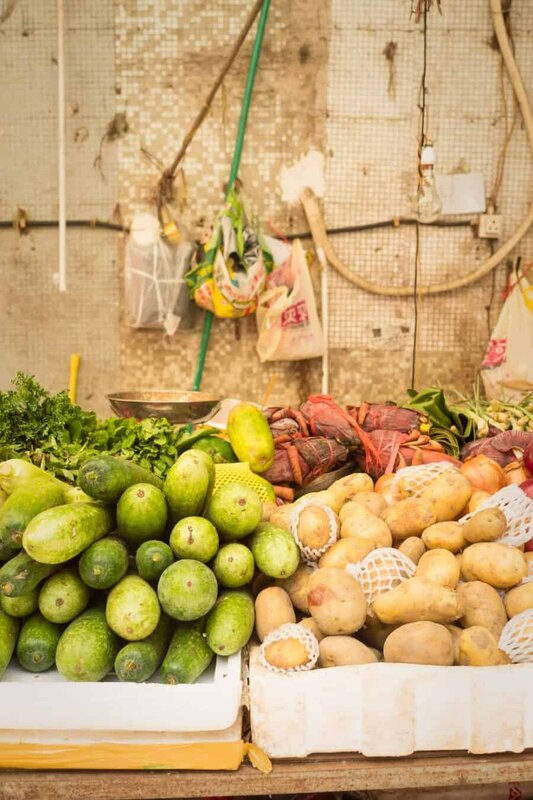 From Red Market wander down the market lined streets of Rua de Tome Pires and Rua de Fernao Mendes Pinto which are filled with snack foods, fresh produce and souvenirs. 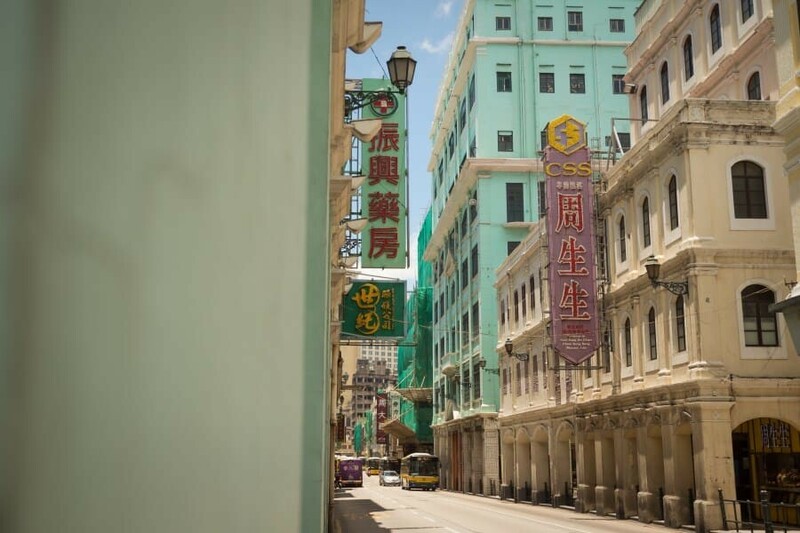 The streets make for great atmospheric images especially mid-morning and are a great way to see another side to Macao’s culture. 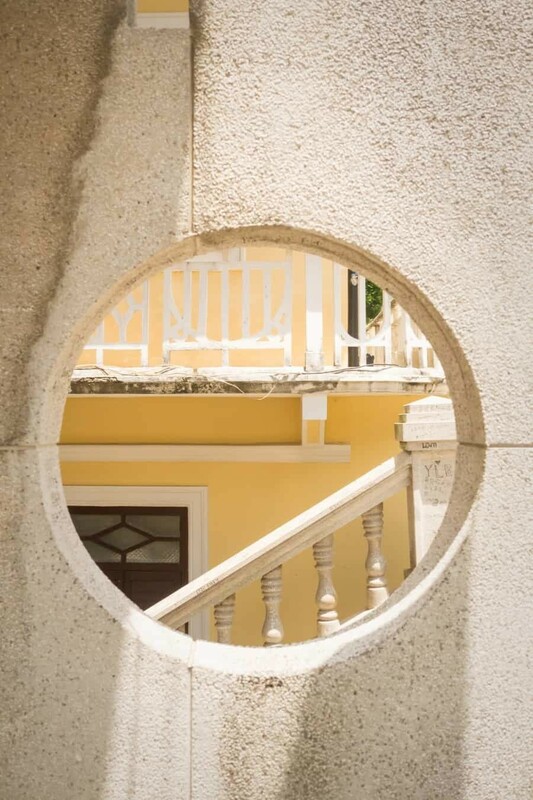 At the end of Rua de Fernao Mendes Pinto you’ll come across the Rotunda de Carlos de Maia, a circular park centred amongst tall residential buildings. 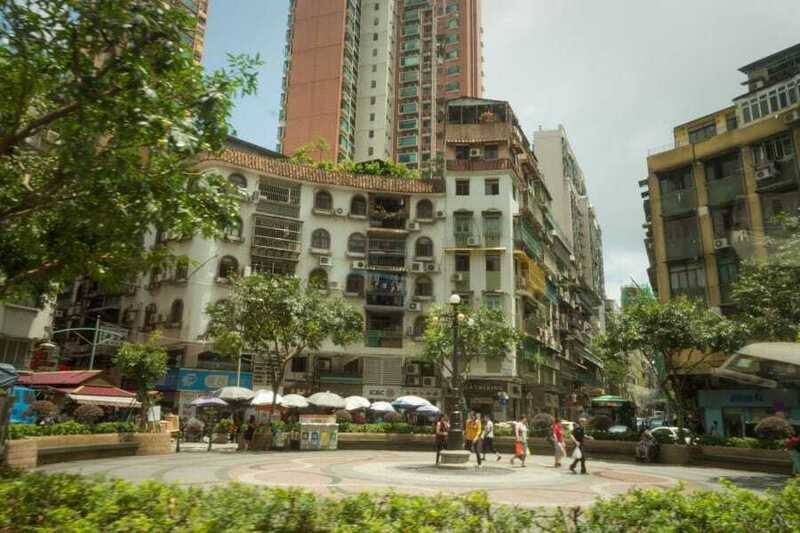 It’s the ideal spot for taking shots down the bustling streets without having to worry about getting hit by traffic, simply stand on the edge of the park and photograph! 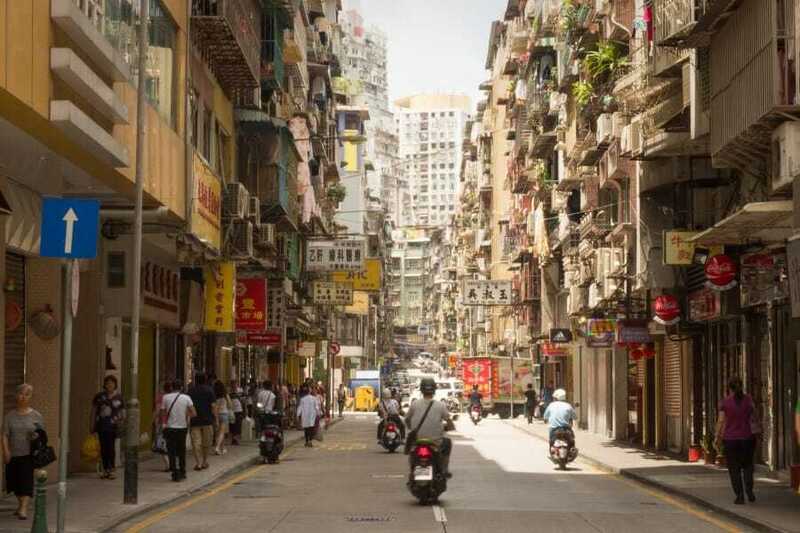 Don’t forget to look up and around at the balconies and facades of the buildings which appear jam packed together. 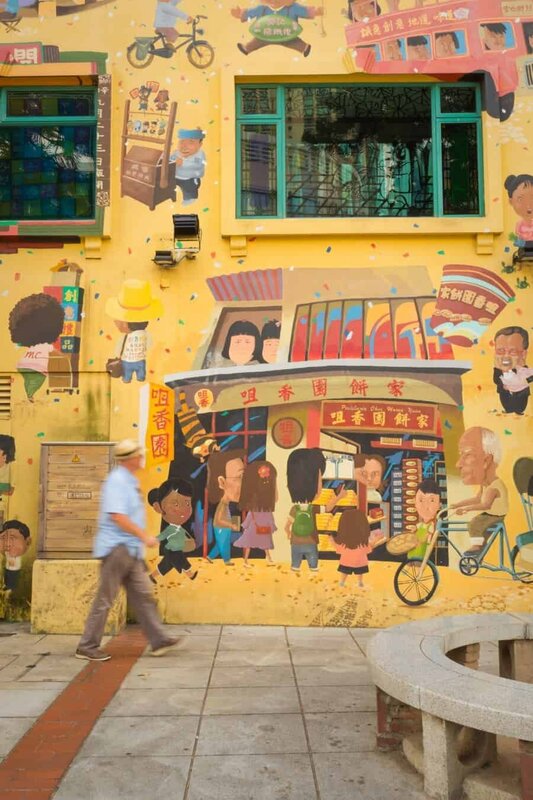 Murals and pastels combine to produce a quaint little corner of Macao that was one of, if not my favourite area! 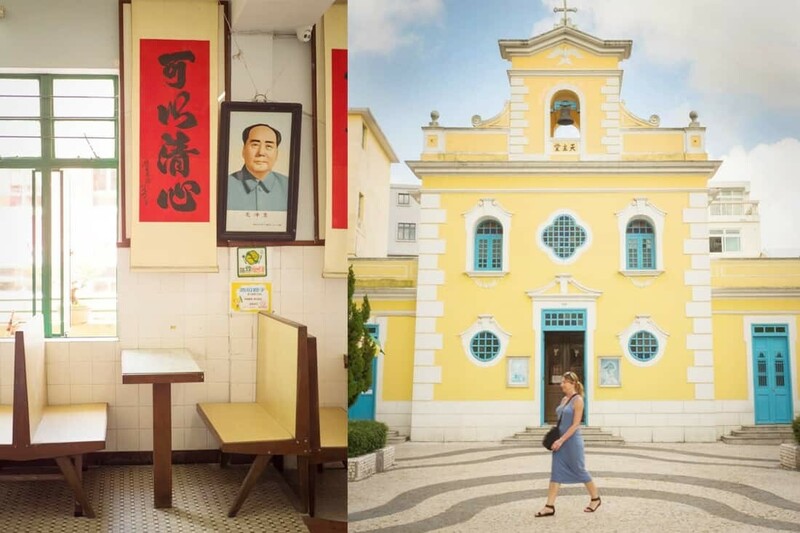 Start at Lilau Square and wander down Rua da Barra towards the A Ma temple, photographing all of the colourful facades along the way. 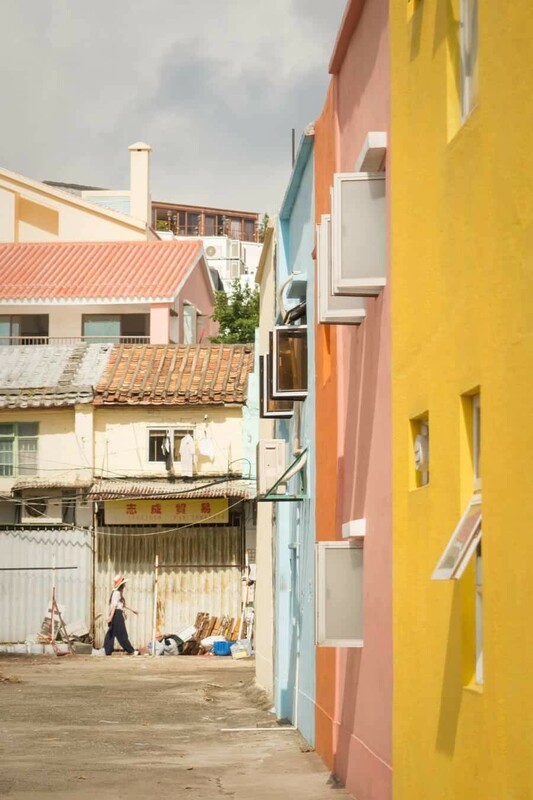 Just opposite Lilau Square is street art on the corner of a building which photographs beautifully with locals walking past or passing traffic. 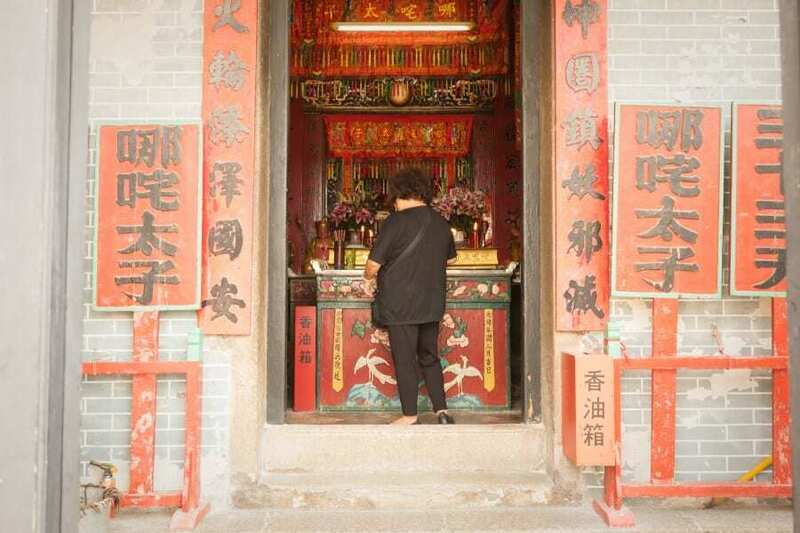 Comprising of six main sections that sprawl across the hillside by the sea, the A Ma Temple is one of Macao’s oldest and is even thought to be the namesake of the city. 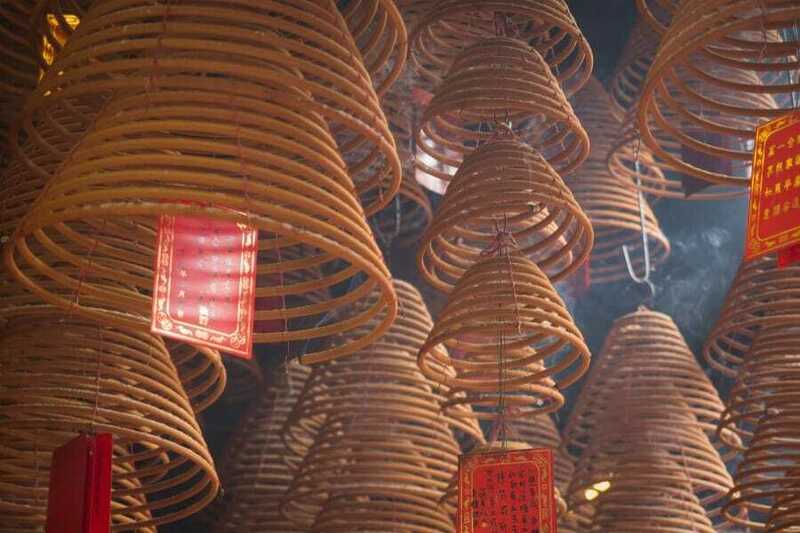 Dedicated to Ma-tsu, the Chinese patron goddess of all seafarers, the temple features a winding staircase that weaves beneath trees up to the various pavilions and prayer halls. 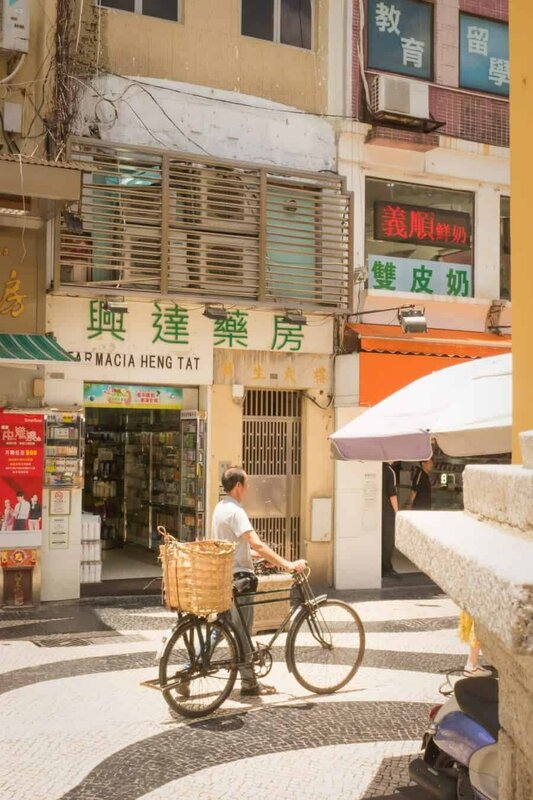 Nestled beside the modern marvels of Cotai, Taipa Village is where culture heritage is on full display in a neighbourhood bursting with a blend of Portuguese, Chinese and Mediterranean influences. 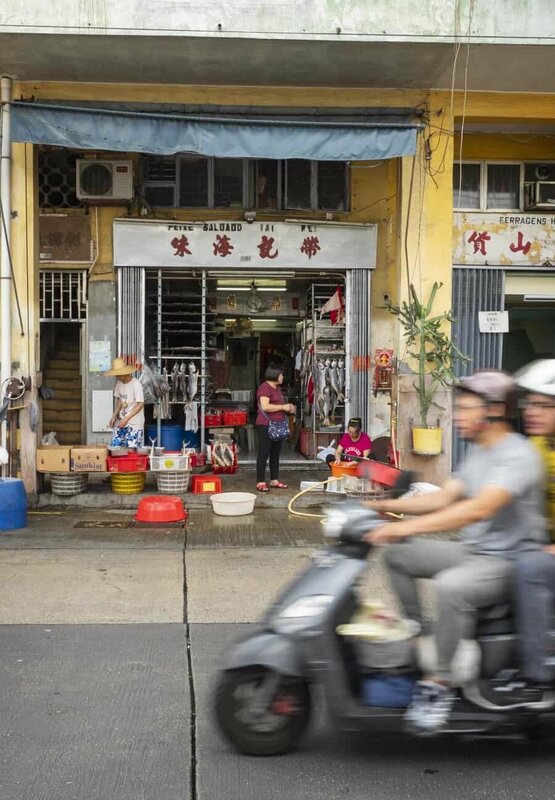 Be sure to wander down Rua do Cunha and the small streets leading towards Pak Tai Temple. 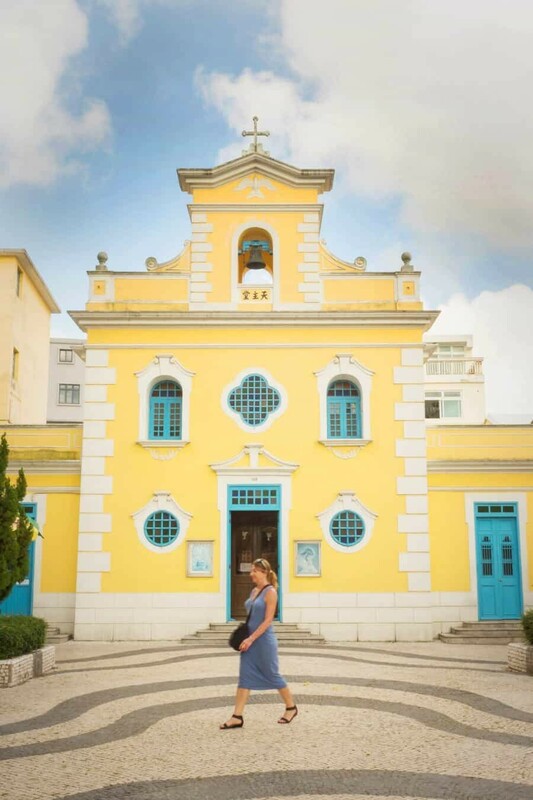 Taipa Village was my favourite neighbourhood in Macao for photographs, offering a blend of modern cafes and street scenes with historic facades, murals and of course there’s the amazing view from the Taipa Houses Museum over towards the casinos. 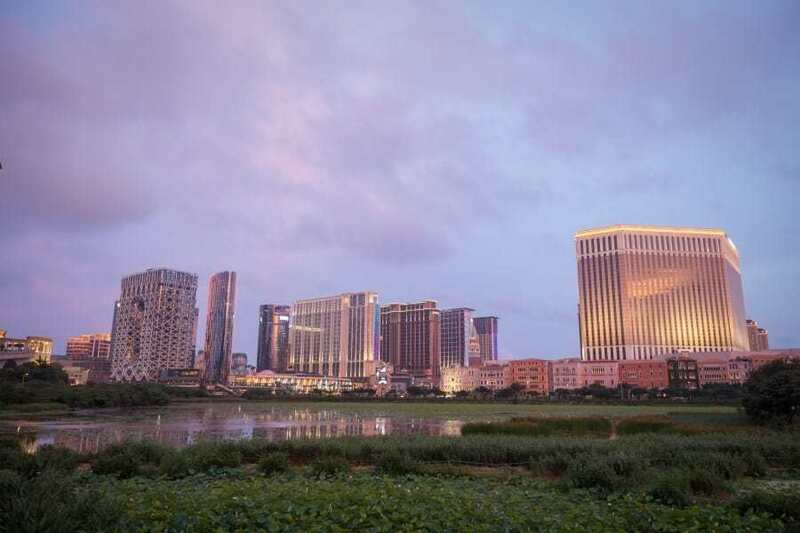 If you’re in Taipa for sunset, I highly recommend heading straight for the Taipa Houses Museum for a view over the lake then up to Carmo Garden for an even higher vantage point. 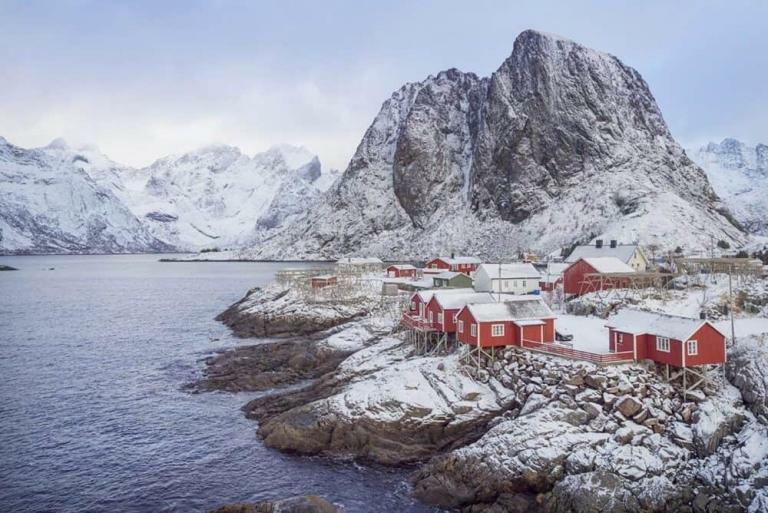 The exterior of this hotel is one of a kind. 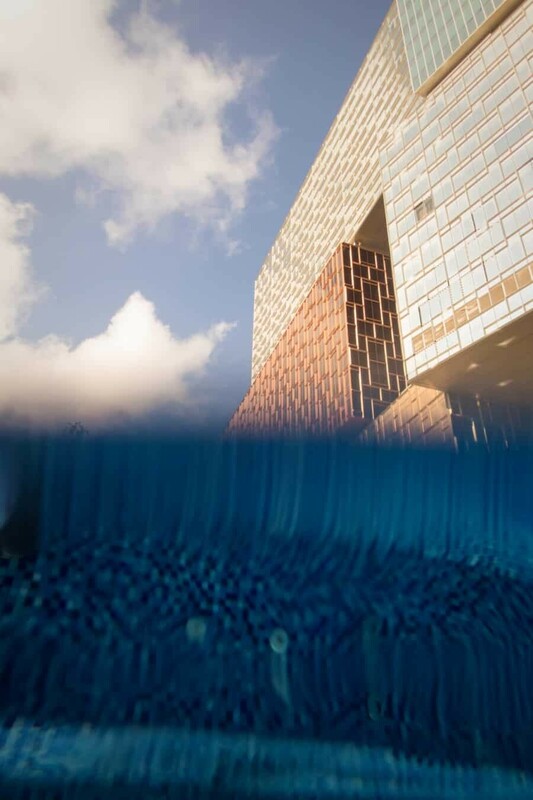 Six coloured sections, bronze, silver and gold stack towards the sky with a curved glass exterior that reflects the hues of the South China Sea, it’s truly an architectural masterpiece. 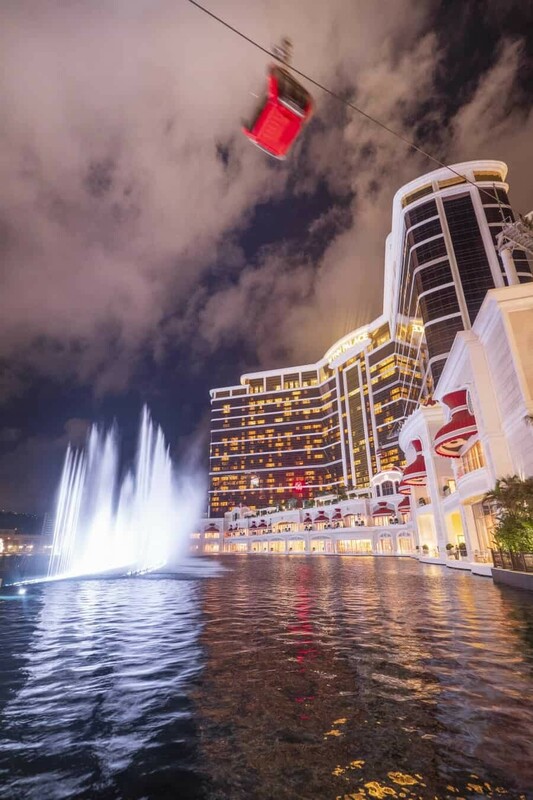 Photograph the building in it’s full glory from the fountains in front of Wynn Palace or catch a glimpse from various locations around Cotai. Inside is also filled with photography opportunities, in fact, you could probably get lost in here all day there’s so much inspiration for photographers. The first thing any photographer will notice is ‘The Art of the Spectacle’, 25 giant LCD screens playing over 6000hrs of images beneath a glass canopy. 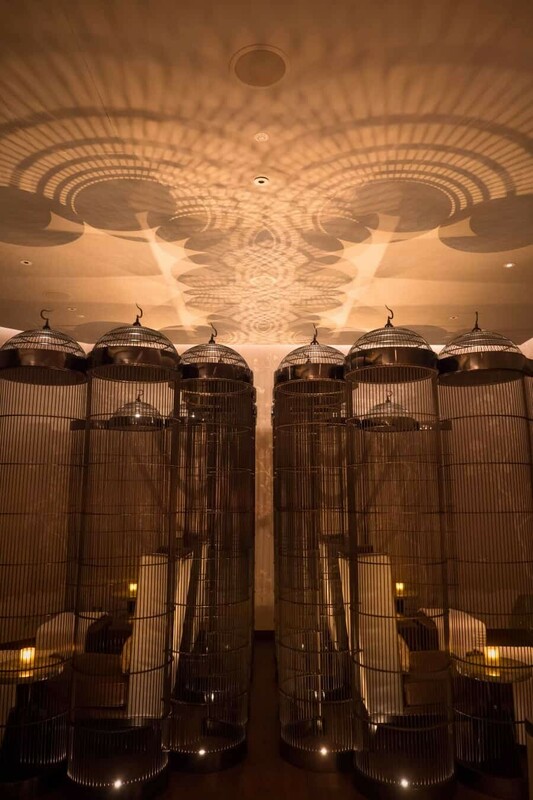 It’s something you can stare at for hours as images from around the world are displayed in all directions, blending beautifully with the surrounding textures of the MGM Cotai’s interior design. 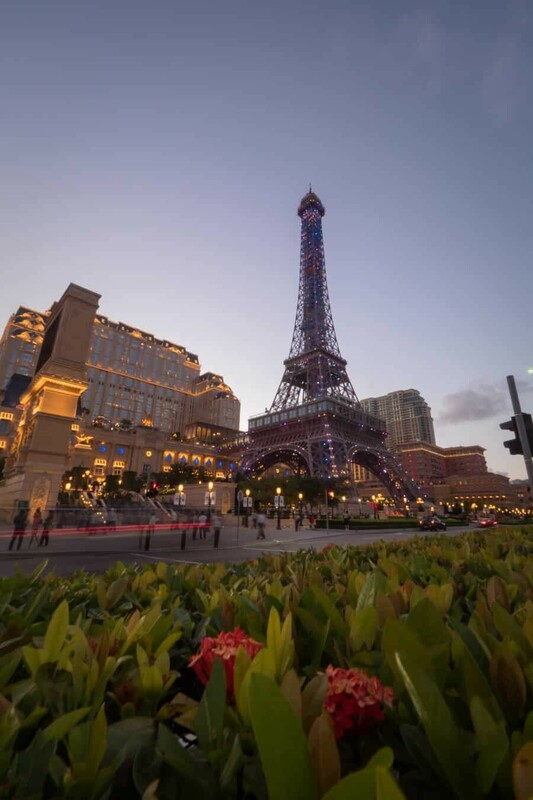 You’ve seen the Eiffel Tower in Paris and its replica in Las Vegas, well, there’s another one, right here in Macao. 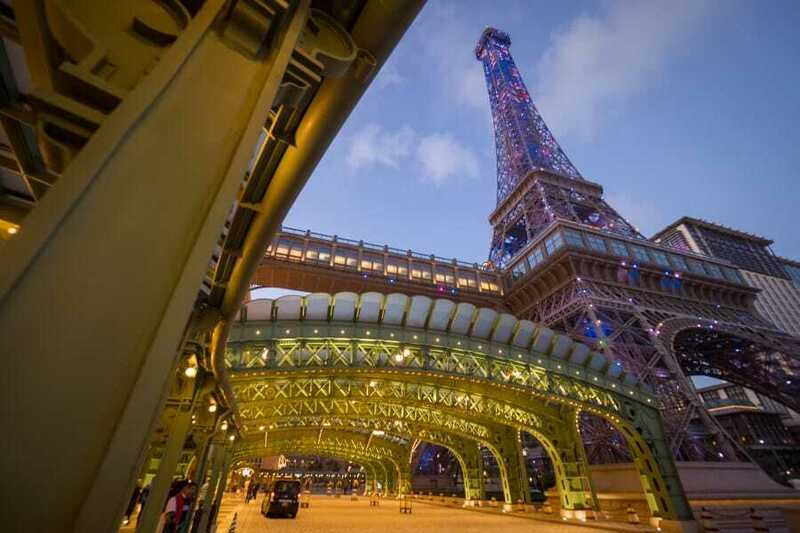 The Parisian Macao provides a great chance to capture some long exposures from the street of the Eiffel Tower dazzling at dusk. 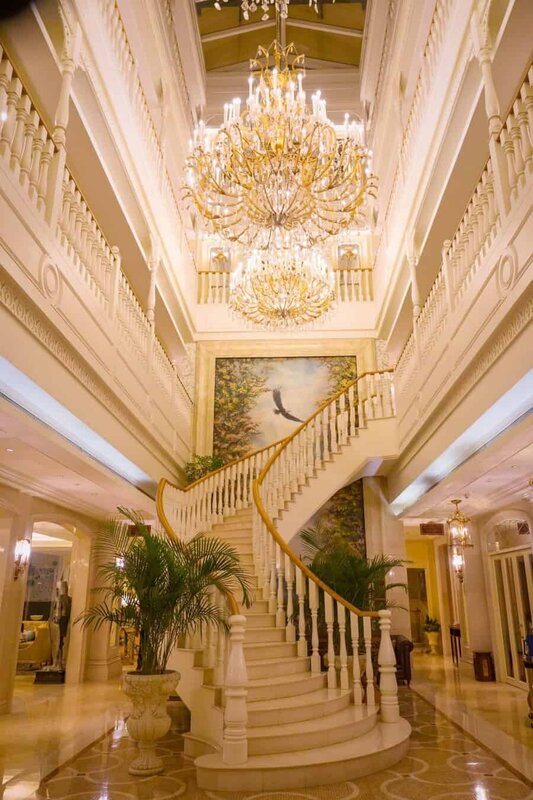 The entrance to this hotel is also seriously beautiful, just like arriving at the Ritz in Paris, you could be mistaken for thinking you’ve arrived in the actual city of love. 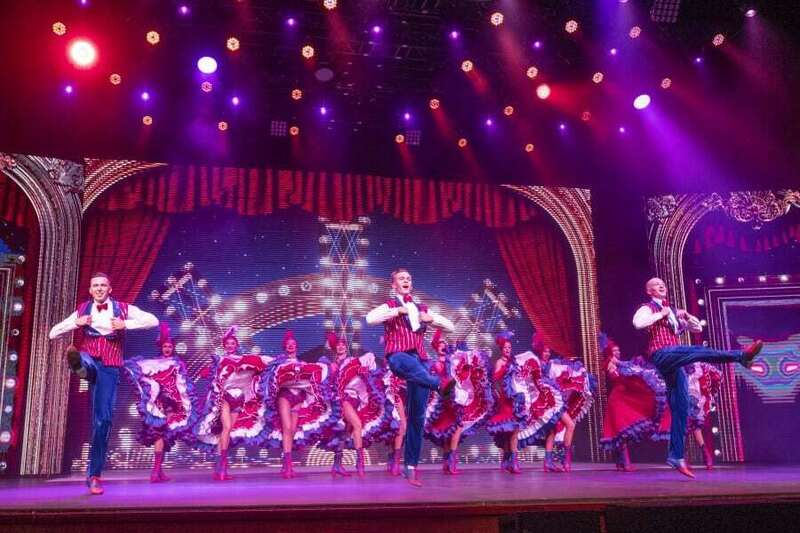 Few times do you get the chance to photograph during a live performance but here at the Parisian you can get snap happy during the cabaret show! Photograph the dancers, ice skaters, basketballers (crazy talented!) and even motorbike stuntmen in action. Just be mindful to always have your flash turned off during the show to avoid distracting the performers but otherwise, increase your ISO due to the dark setting and click away. The show is called La Parisienne Cabaret Francaise and is performed every Tuesday to Friday at 8pm, or at various times over the weekend. I’m not sure I’ve ever visited a hotel where you’re required to take a gondola to access. Actually, there’s a regular door too but opting for the grand entrance and floating across Performance Lake as the fountain show is happening is hard to beat. 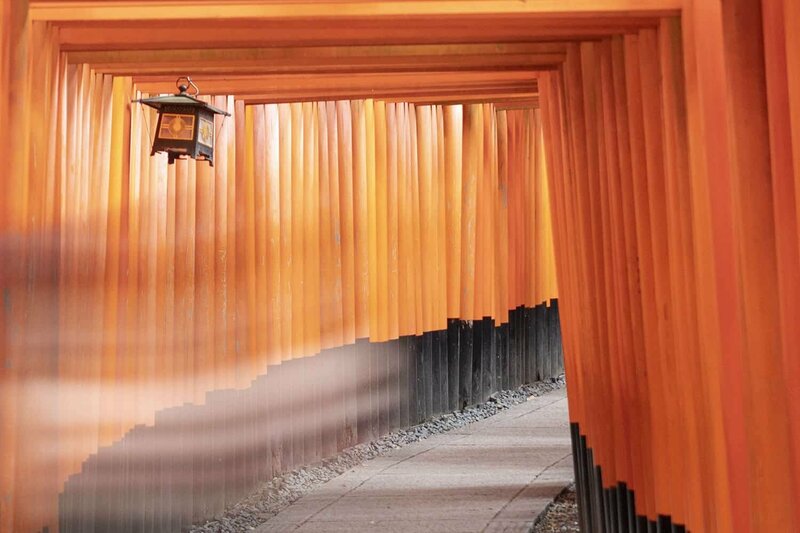 A series of three minute shows occur throughout the day in 15 minute intervals so you can time your visit for sunset and stay until the lights come on to capture long exposures. Inside the hotel is like stepping into a circus with a blend of colourful art work and oriental influences. 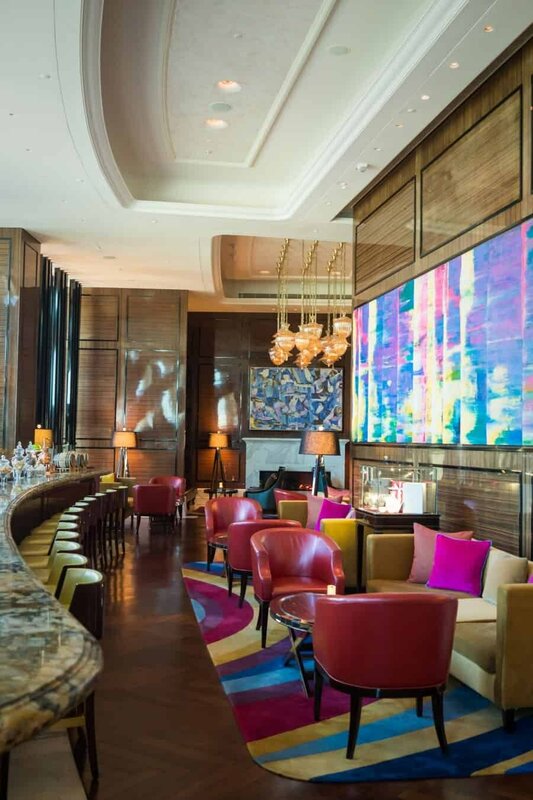 If you can find your way into the RC Bar at the Ritz Carlton you won’t be disappointed. 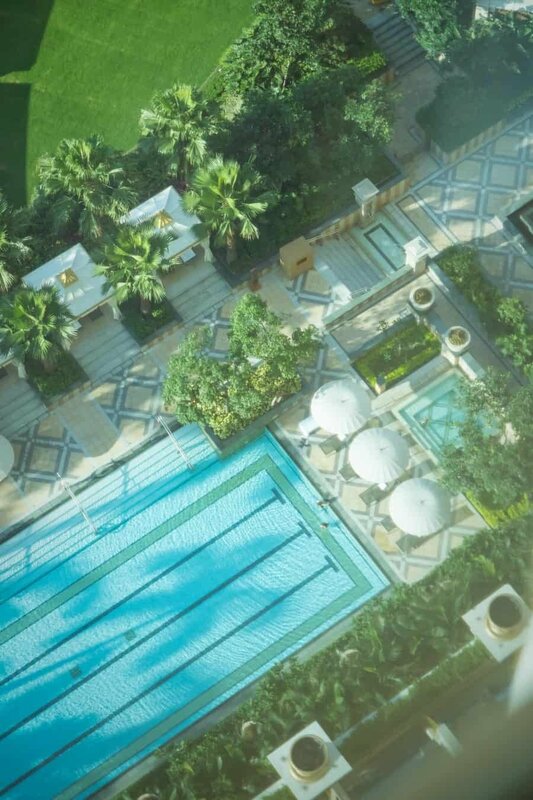 Luxury is taken to another level, level 51 to be precise. Here you can sip on extravagant cocktails and enjoy expansive views over Macao. The pool area of the Galaxy Resort is also a great subject to photograph from above as are the gold and white towers of the hotel. 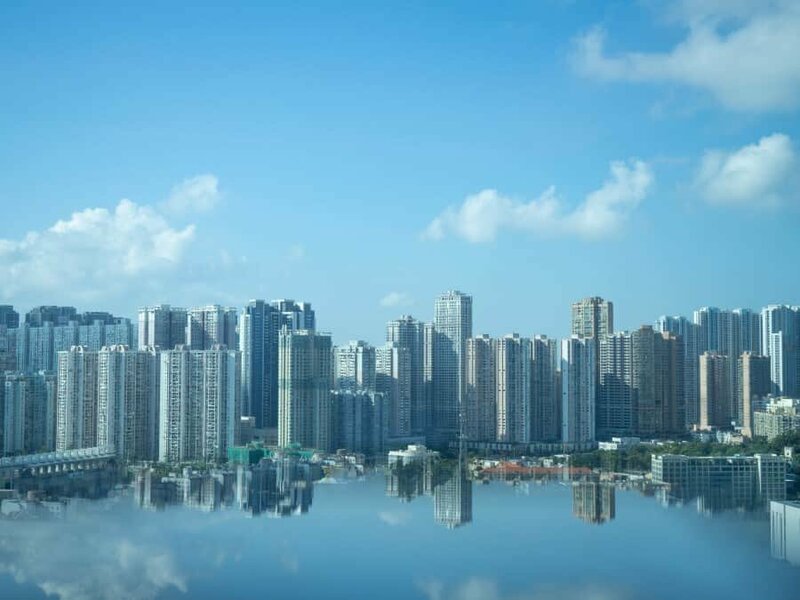 From this hotel you can have a great view looking towards Taipa Village too. 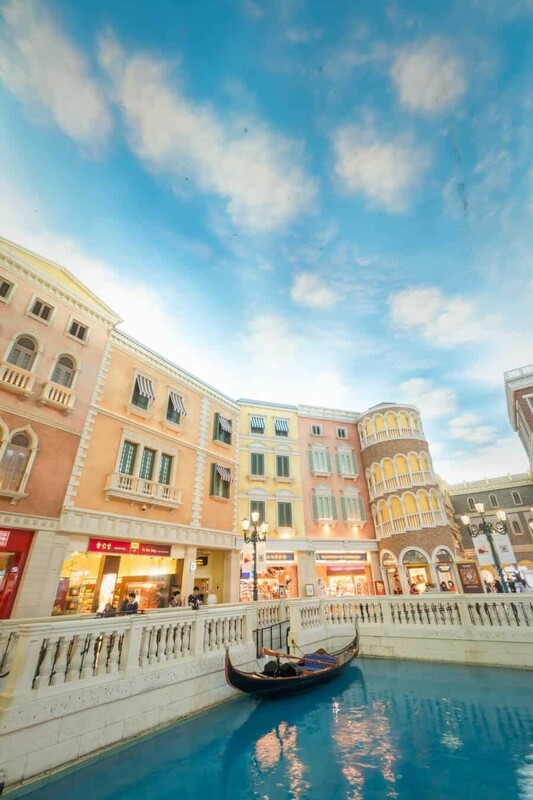 With Venice being one of my favourite cities in the world, I was immediately drawn to the canals of the Venetian Macao. 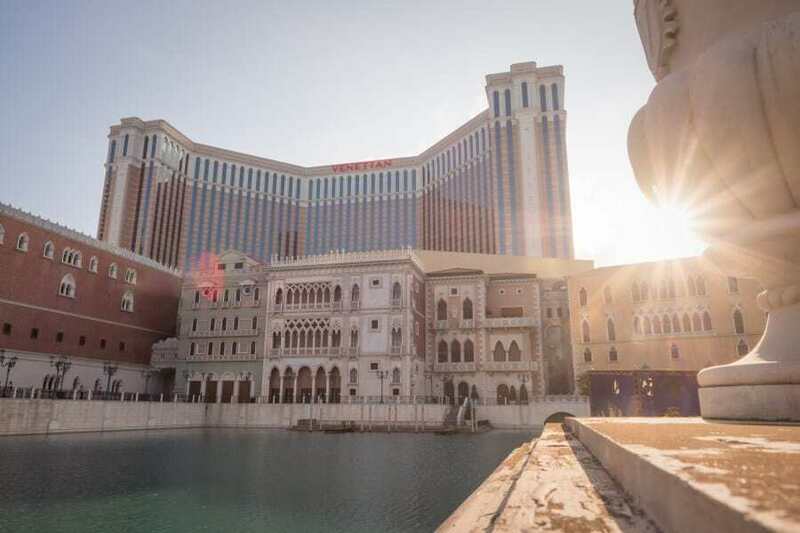 Sure they aren’t the real thing but outside the facades are an exact replica of those from Piazza San Marco and with the warm glow of Macao’s sunlight, it makes for a stunning place to take photos. 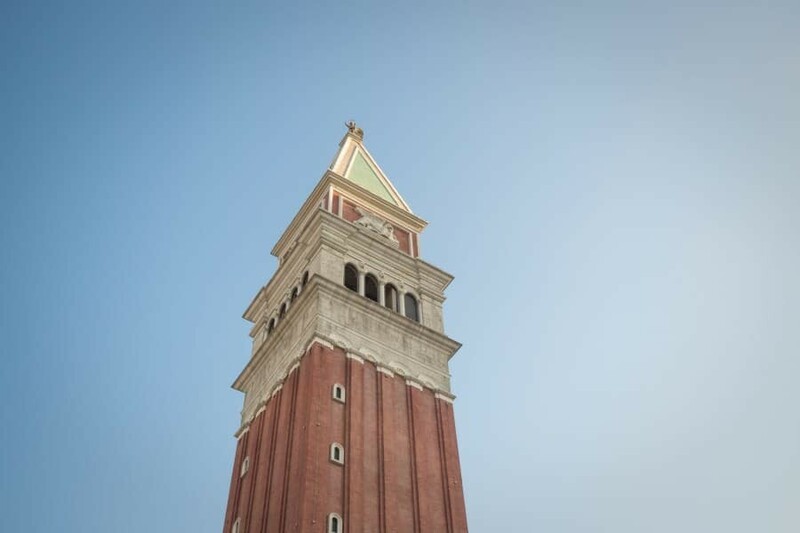 Inside the hotel you’ll find the Grand Canal, depicting the canals of Venice, stores line the vibrant blue waters where gondolas whisk people up and down for a romantic ride. Personally I preferred to walk along the bridges and take photos of what felt like being inside a rainbow lollipop. Located right by the sea in the waterfront Fisherman’s Wharf district, The Rocks Hotel is a classic beauty. Inside lavish furnishings are illuminated by dangling chandeliers and a grand staircase winds down as balconies from each level of the hotel circle around. 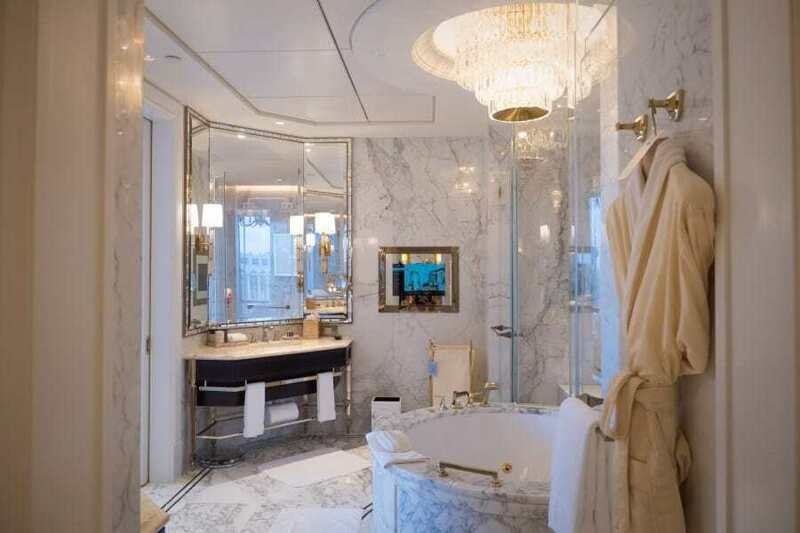 The rooms are like stepping into 18th century Victoria with elaborate detailing, grand bathtubs and floor to ceiling windows where you can watch as the early morning rays rise over the water. 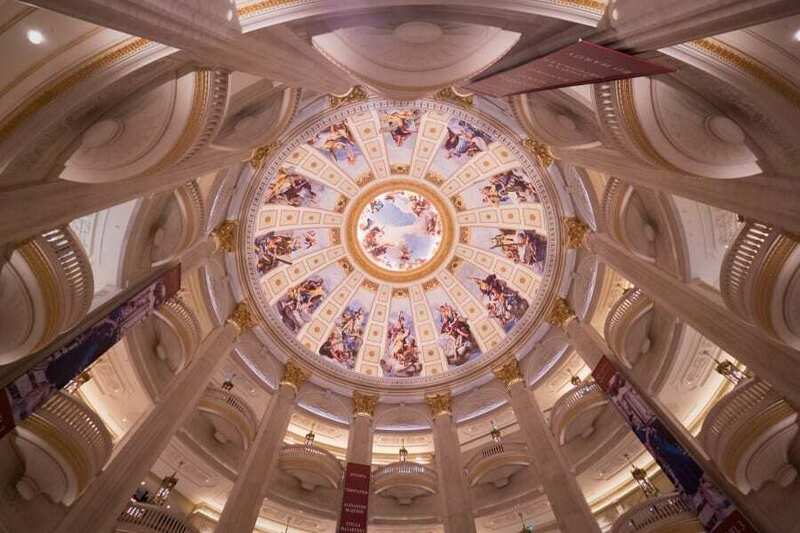 If casino’s and glitz are more your style, the MGM Cotai is your pick. 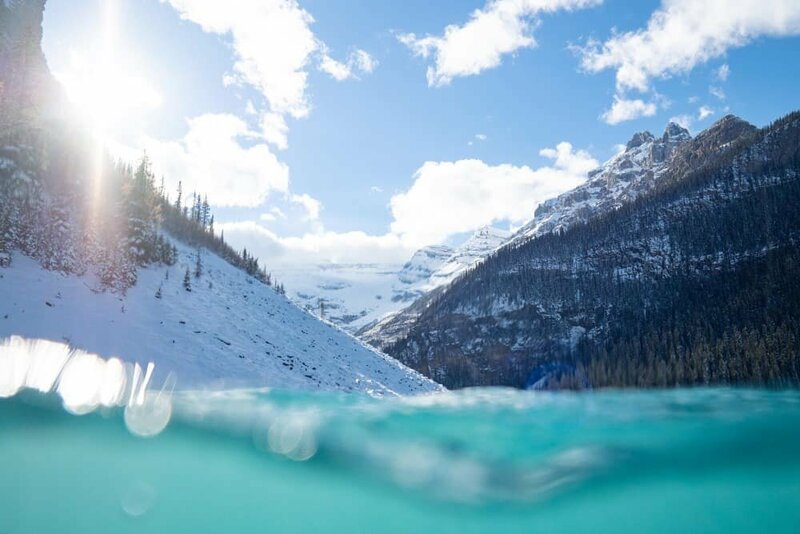 Opening in early 2018, the hotel offers something for everyone from a relaxing outdoor pool area, the luxurious Tria Spa, a gallery of stores and of course extremely modern rooms with every touch of elegance you could expect from a brand-new property. 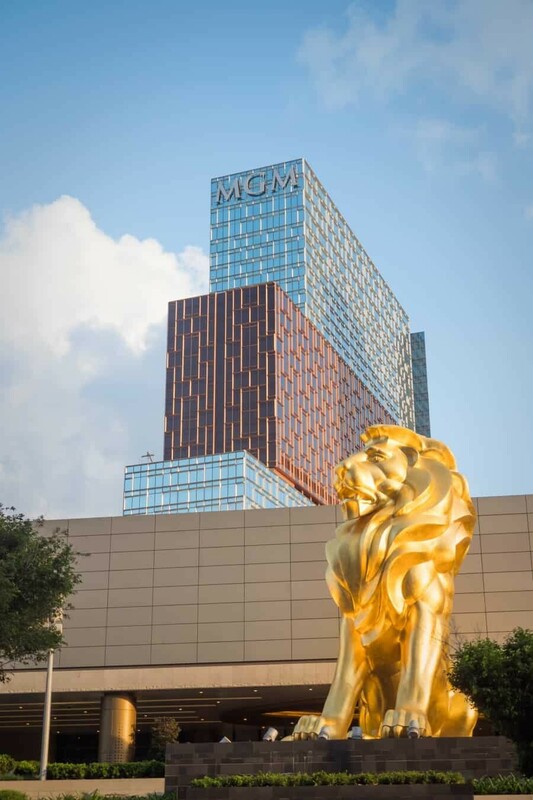 The MGM Cotai also houses a unique art collection of over 300 pieces of contemporary art with the theme of bridging the East and West, tradition and technology. 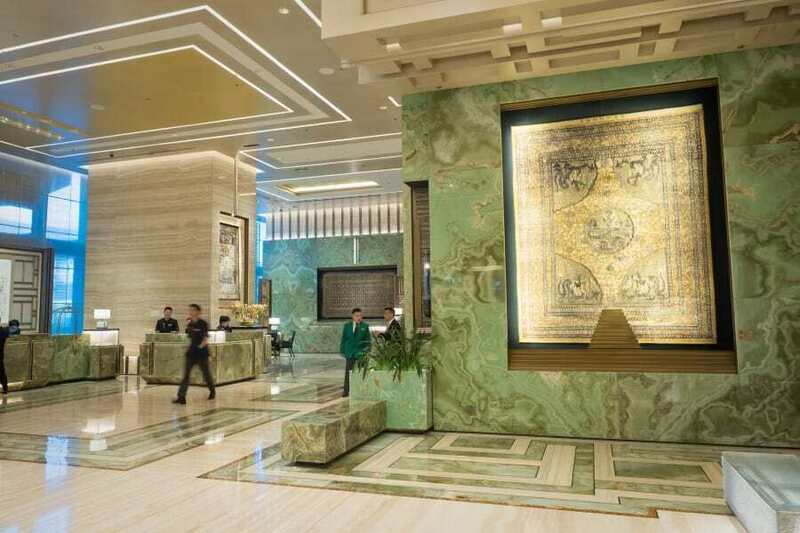 Ten percent of the existing collection of Cheng dynasty carpets from the 19th century are also found here, displayed against jade marble in the VIP entrance. I’ll be publishing a guide to photographing the flavours of Macao very shortly and one of those flavours is the very unique Nikkei cuisine, a blend of Japanese and Peruvian flavours created by Chef Mitsuharu Tsumura who oversees Aji restaurant located within the hotel. 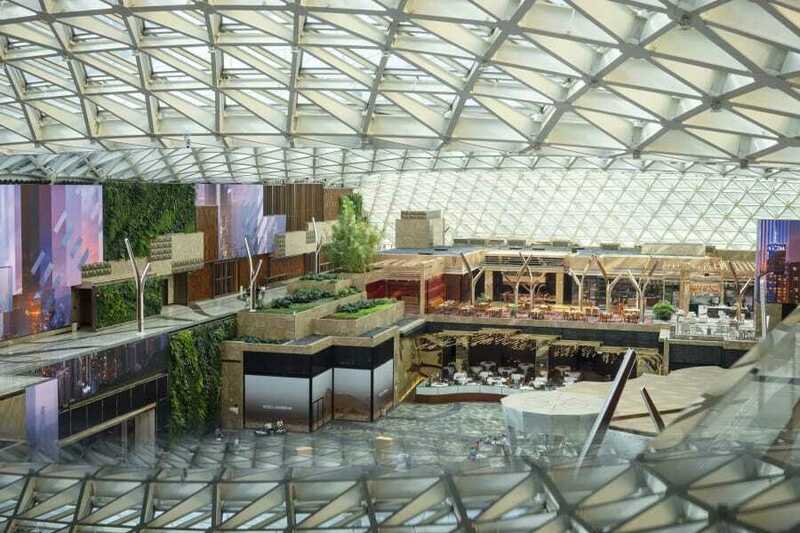 Comprising of five hotels within a huge resort complex, this is your one stop shop for leisure, luxury and entertainment. 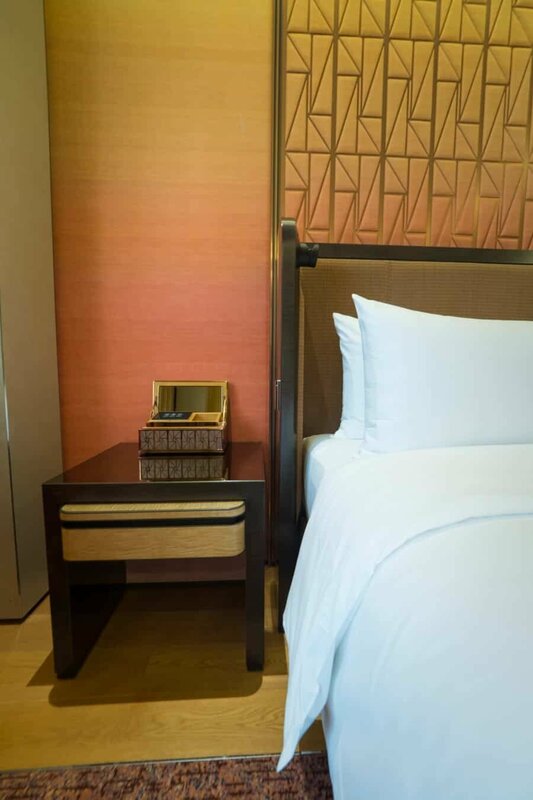 I had a chance to peek inside room at the Ritz Carlton and JW Marriott Hotel, both of which are located with Galaxy and was amazed at the level of decor. The ESPA is an indulgent space for relaxation, one of the most beautiful spas I’ve ever seen. 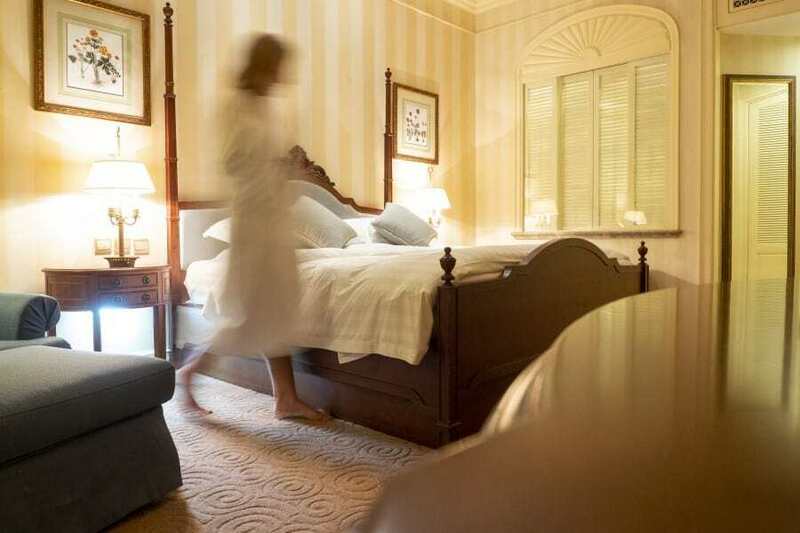 For a quieter stay, the Regency Art Hotel is the perfect place, an oasis of calm and tranquility. 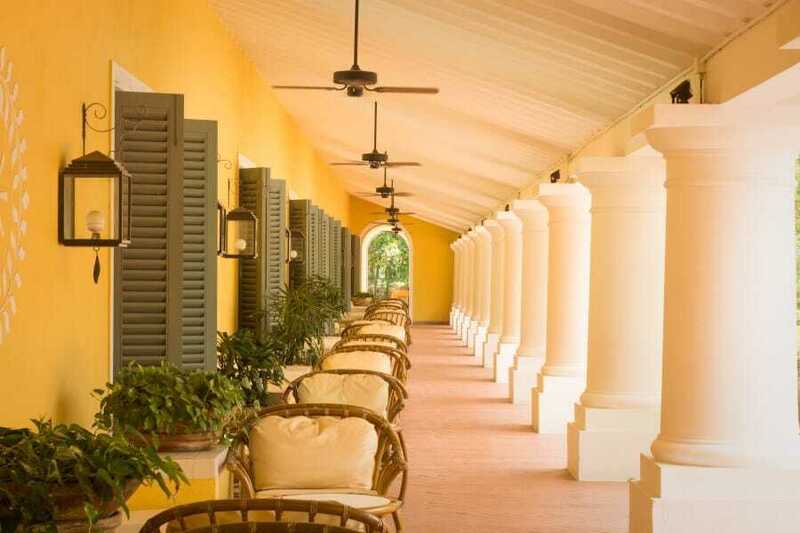 Boasting a pool area that feels like a Mediterranean resort with touches of old Hollywood glamour, this hotel is a peaceful gem ideally located for exploring all areas of Macao. There’s a relaxing elegance about this hotel, not over the top, just enough to make you feel at home. 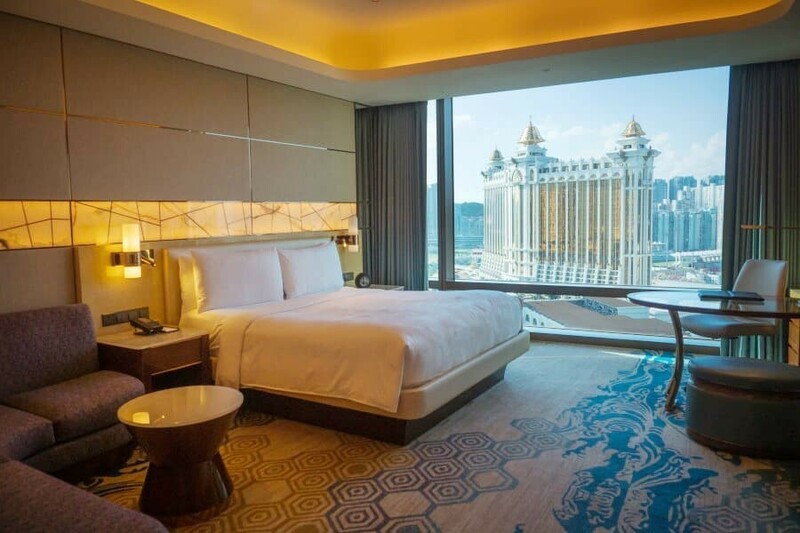 New hotels are opening all the time in Macao! 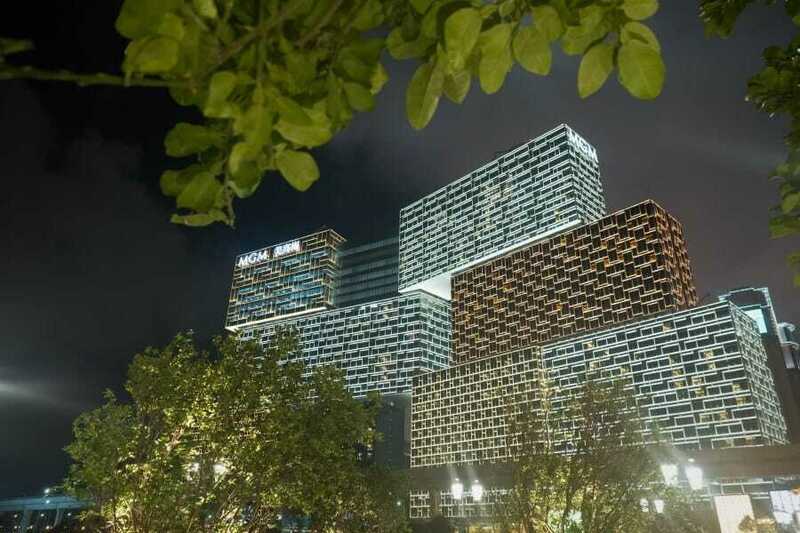 The latest, a sparkling six star architectural wonder designed by Zaha Hadid and Patrik Schumacher called The Morpheus. Rooms will be available to book from early 2019. 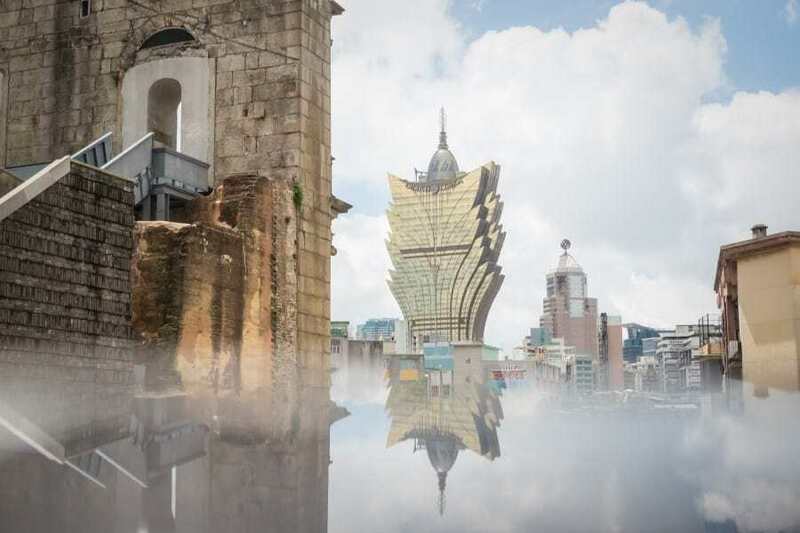 While in Macao, please do yourself a favour and go to see the House of Dancing Water show at the City of Dreams complex. It’s one of the most impressive, artistic and innovative shows I’ve ever seen and while photographs aren’t allowed, it’s best to immerse yourself in the wonderous displays and performances instead! Oh and there are talking robots scattered all throughout the City of Dreams…you have to see it to believe it. 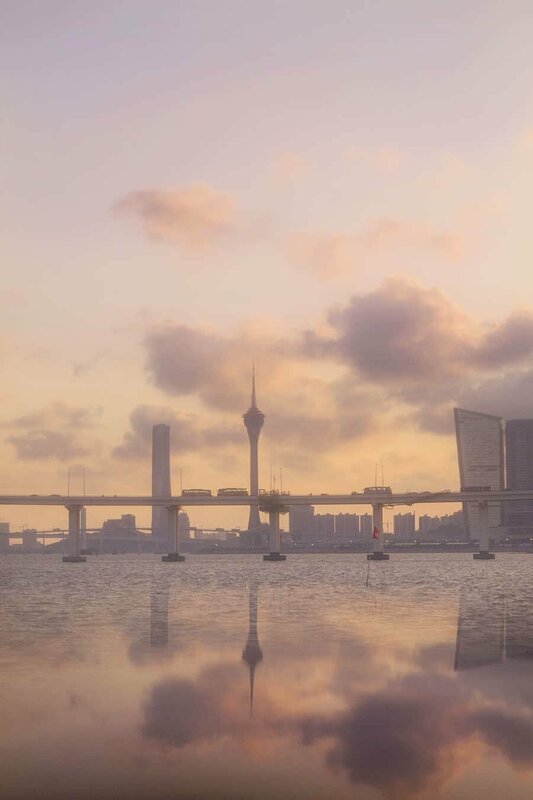 You can arrive into the Macao International Airport, or if you’ve travelling across from Hong Kong, jump on a ferry and see the skyline of Macao as you approach by sea. Ferries are accessible from downtown Hong Kong at the Hong Kong Ferry Terminal in Sheung Wan via the Turbo Jet with a sailing time of 55minutes. 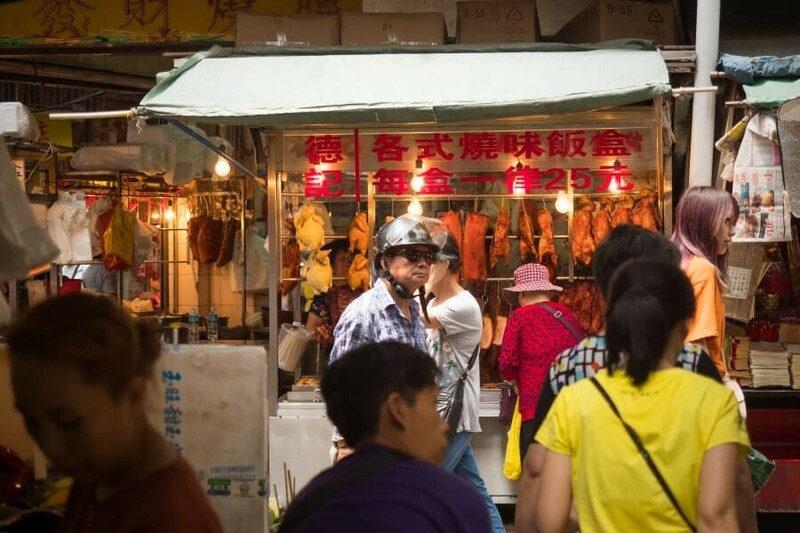 The Turbo Jet arrives into the Outer Harbour of Macao, close to Fisherman’s Wharf, alternatively you can take the Cotai Waterjet and arrive near the new casinos and Taipa district. This is so beautiful Lisa. 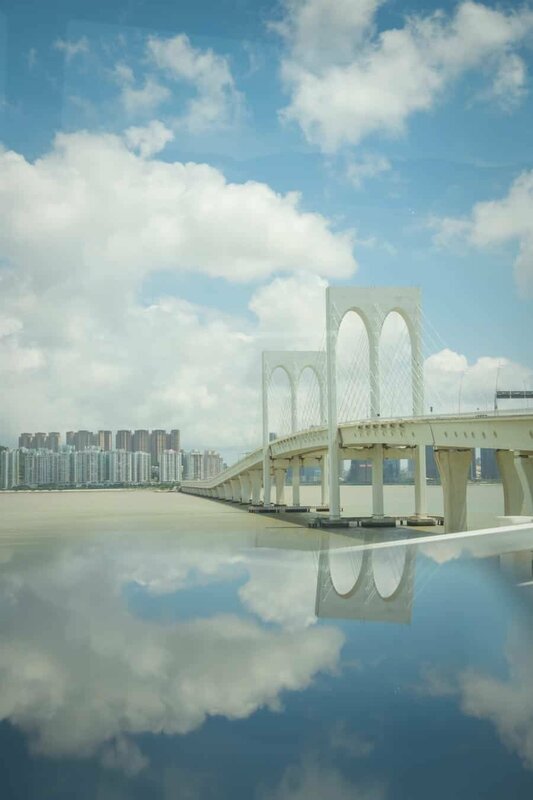 Im going to Macau in a week and your article and photographs are so inspiring. thank you Giles.